“Magazines Are The Antithesis Of The Online Experience. They Are The Best Slow Media Experience. 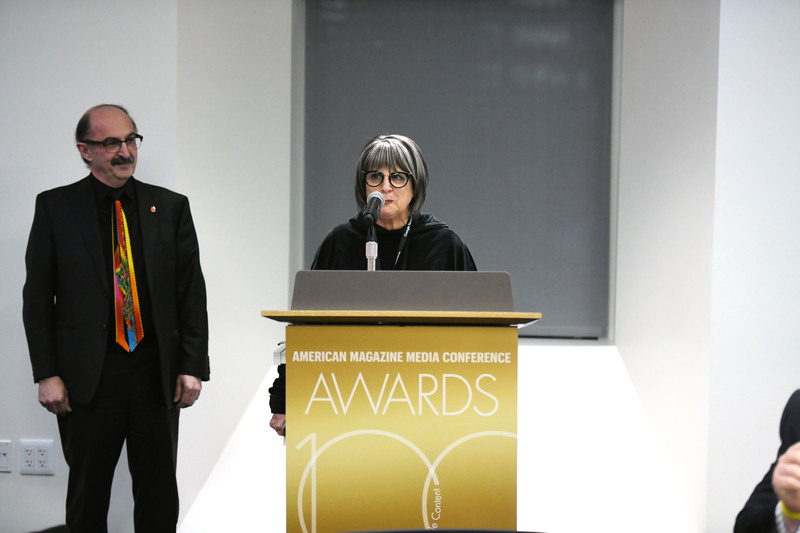 Magazines Help People To Focus, To Slow Down, To Savor The Moment…” – The Mr. Magazine™ Interview With Anne Alexander, Editor, Mindful Magazine. Mindful is a mission-driven non-profit brand, dedicated to inspiring, guiding, and connecting anyone who wants to explore mindfulness—to enjoy better health, more caring relationships, and a compassionate society. Anne Alexander is editor of the magazine and knows her way around multiplatform brands and content strategies. Anne is a New York Times bestselling author, she was editorial director for the National Geographic Society and also editorial director for the then Rodale’s Prevention brand, among many other leader positions. And being editor of a brand that she is so very passionate about is a role that fits her perfectly. The field of mindfulness is one that is growing and proving to be a very important factor that many people are looking for in their hectic lives these days. And Anne is a firm believer in the brand’s signature mantra: Healthy Mind, Healthy Life. She believes the mind is a valuable resource that people are starting to realize needs protecting from the everyday stress and reflections of the past and the future that they’re often forced to think about. And she feels that Mindful is the voice of this emerging mindfulness community and the place to go for insight, information, and inspiration to help us all live more mindfully. Anne thinks mindfulness is a unique and profound approach to social change, and the work a social innovation initiative. And that mindfulness is entering the mainstream and presents an historic opportunity to transform society. From conferences and collaborations, Mindful is a contributing factor to the Mindfulness movement and keeps the integrity and expertise throughout the brand, relying on experts and researchers who have been in the field for years. It’s a fascinating topic and one that is exploding all over the country. So, sit back in your favorite relaxed position and come into the moment as you become “Mindful” of the Mr. Magazine™ interview with Anne Alexander, editor, Mindful Magazine. On how she became editor of Mindful magazine: I had been at Rodale, and I had done a lot of consulting too, I’d had a whole series of fantastic consulting projects, and then I just really wanted to find a group of good people who were doing good work, work that was really meaningful. And so I just reached out to my network, and somebody I knew who knew somebody who knew somebody put me in touch with Barry Boyce and Jim Gimian, and we had a very lengthy conversation about mindfulness and editorial, and all sorts of things. So, really over a long period of time, we just decided there was a fit. On why now for this huge public interest in mindfulness: I think the “why now” is because we’re experiencing a tremendous confluence of events, and stress is epidemic and mindfulness is one of those things that can help people destress. The instantaneous payoff is that mindfulness can help relieve stress, but over a longer period of time mindfulness is so important because we’re all involved with multitasking and our attention is being eviscerated by all of the technology that we have. So, our attention is constantly being drawn from our devices to all of the things that pull it away, so mindfulness is a way to bring our attention back, to enable us to regroup and to focus. On what she thinks when some people tell her the future is for AI and there will never be an artificial mindfulness, that it still has to be part of the human being: Whether or not there’s an artificial AI version of mindfulness, or whether AI instruments develop their own form of mindfulness is something for other folks to ponder. I think that the human mind is such a valuable property that mindfulness enables us to reclaim that beauty and whether or not we want to develop that in some artificial way; I’m sure there are other ways to artificially stimulate ourselves, but I think that mindfulness is something that is inherently human. On whether when she asks her readers to engage with the brand, will there be a need to put their devices down, or does she feel the role of the printed magazine has also changed: What I would love to do is ask them to try each of those things, because the online experience is wonderful for many reasons. The online experience with our articles, we can help inform people and empower them in some ways. But what I love about the magazine is it’s also sort of the antithesis of that. It’s the best of slow media, if you will, because it helps people to focus, to slow down, to savor the moment. In some ways our articles are old-fashioned, almost artisanal compositions. We have art directors and editors who really focus on the nuance of what we’re trying to say. I think that’s one of the reasons that readers are responding to it. On whether it makes a difference she is working for a nonprofit, such as Mindful, or a for-profit entity: The nice think about mindfulness, or Mindful, is that the good work that we’re doing, the benefits that we’re accruing, we’re trying to put that back out and to benefit the wider audience. And in some ways it’s a more direct approach than what we were doing at Rodale, and certainly some of the benefits at National Geographic were going back out to help the environment and various things. With Mindful, because it’s such a small organization, you can actually see the benefits and where the revenues are going, to which cause. So, it’s very specific. You can see it on almost a one-to-one basis. On whether she sees herself as a content provider or an experience maker in this world of editing: I believe that when content is done well, you are delivering an experience to people. When you have the beauty of combining visuals, you’re always creating an experience. To me, that’s the beauty of the work. That’s what I love about being an editor. You’re seeing the content isn’t just the words, it’s the words and how they’re presented and how they’re visually presented. And in order to be successful, I truly believe that has to be an experience for people. On whether there will be any changes with the magazine since she has become the editor or will she just stay the course: We’re definitely staying the course because it’s been a very successful brand. But actually you will see changes or you could spot changes because I started consulting and working with them in August. You can start to see it in the covers. 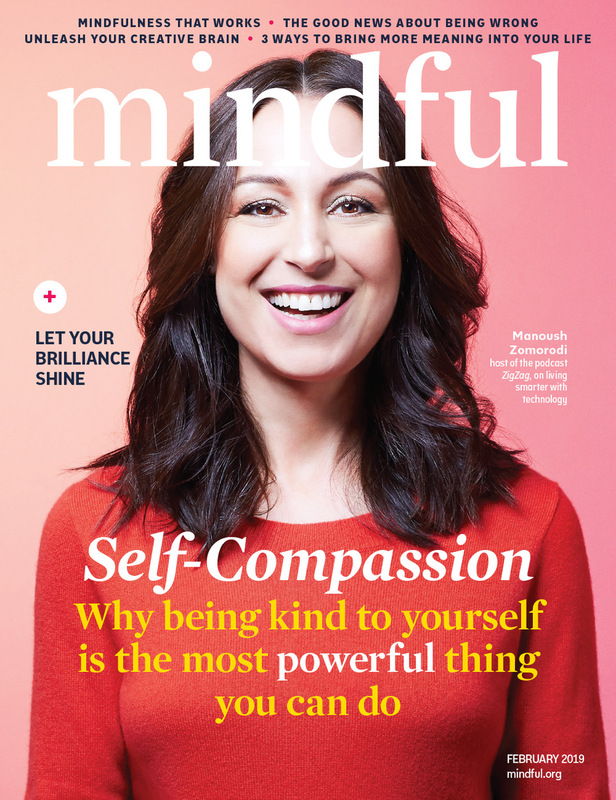 One of the things that we did with the cover for the January/February issue is we did a beautiful cover with Manoush Zomorodi on self-compassion. I love to try and have a photograph of somebody who just looks so natural and appealing and so authentic. On her passion for the subject matter: Mindful is something that’s really important to me, and it’s important not just on an individual basis, but it’s important from a community, social and logical standpoint. We’re all so isolated now from a community, sociological point of view. And it’s important to see other people as humans in order to connect and engage with them and to care. On whether she ever feels that she’s swimming against the current and that audiences have been brainwashed so much and then she has to de-brainwash them: I think people need to be reminded and given permission to slow down and to pause. And that’s where, if there’s a brainwashing that needs to be undone, that’s where mindfulness is coming in, and that’s part of what’s driving the growth of mindfulness. We’ve been going faster and multitasking, thinking it’s cool to have more than one device, and I think that we’re coming to a sense that our attention is a resource that needs to be guarded; it needs to be nurtured and protected and cared for. And the idea of slowing down and pausing is actually something that’s our human right. To do that is something that is important for us and for the community. On what she would hope to tell someone she had accomplished in one year with Mindful magazine and the entire brand: There are so many growth areas. I would love to see the magazine engage with more people. I would love to see the website engage; we’re reaching like 1.2 million people on a regular basis through the different formats. And there is such a need for mindfulness in the healthcare community and the educator community. And we’re doing work with Aetna and Harvard Pilgrim and Kaiser Permanente, in terms of developing content about mindfulness in healthcare. On working with Bryan Welch, the new CEO of Mindful: I’m inspired. I love Bryan, because I think Bryan thinks big. And Bryan brings a perspective on strategic growth and opportunity that will really help boost this brand and the company to the next level. He has the street cred to not only believe it, but to help make it happen. So, I am looking forward to working with him. And I think that tremendous things are possible and Bryan will help get the brand there and he’ll do it with his own tremendous integrity. On presenting the true mindfulness experience: Really being in league with the top researchers who are doing this. We take tremendous pride in working with people like Amishi Jha and Pat Rockman, with the people who have been in this field for years and years, and take it seriously and do incredible research. They aren’t just doing things fly-by-night. You can find apps and all sorts of things claiming to be mindfulness and that claim all sorts of benefits, which their research hasn’t really been out. There are tremendous benefits with mindfulness, but we want to stick with things that are truly credible. On anything she’d like to add: I think it’s a great group and I’m delighted to be working with them. They’re really smart and this field is growing. One of the things with Barry Boyce, and Jim Gimian who is the founder, they are really committed to carrying a message and the information about mindfulness in a way that’s really responsible. I was recently on the phone with Amishi Jha, who is one of the top leading neuroscientists in the field of mindfulness, and we were talking about how do we grow and maintain that level of integrity and commitment. To not overpromise or oversell. On the biggest misconception she thinks people have about her: I think sometimes people can be intimidated and I try to be really, really nice and really human and fun. On what she would have tattooed upon her brain that would be there forever and no one could ever forget about her: Leader. On what someone would find her doing if they showed up unexpectedly one evening at her home: I’m such a creative at heart. I love cooking. I love to try and throw together a meal that my kids will actually eat. I’m the mother of three teenagers. And to me, I enjoy cooking and it’s such an accomplishment. I love it if I can make a meal and they all actually eat it and it disappears. And everybody is happy and we all have a sense of contentment. And now the lightly edited transcript of the Mr. Magazine™ interview with Anne Alexander, editor, Mindful Magazine. Samir Husni: Congratulations on the new job. You’re now editor of a magazine that’s entering its sixth anniversary, Mindful Magazine. Samir Husni: How did you become editor of Mindful? Anne Alexander: I had been at Rodale, and I had done a lot of consulting too, I’d had a whole series of fantastic consulting projects, and then I just really wanted to find a group of good people who were doing good work, work that was really meaningful. And so I just reached out to my network, and somebody I knew who knew somebody who knew somebody put me in touch with Barry Boyce and Jim Gimian, and we had a very lengthy conversation about mindfulness and editorial, and all sorts of things. So, really over a long period of time, we just decided there was a fit. I had actually been consulting with them since August, so it’s been kind of an evolution of a role and I had literally just posted my business cards because they had just arrived, but I’d actually been working with them for quite some time, since August. Samir Husni: The last time I interviewed the CEO of Time Inc. when we had a Time Inc., he told me the largest selling bookazine they had ever produced was on the topic of mindfulness. 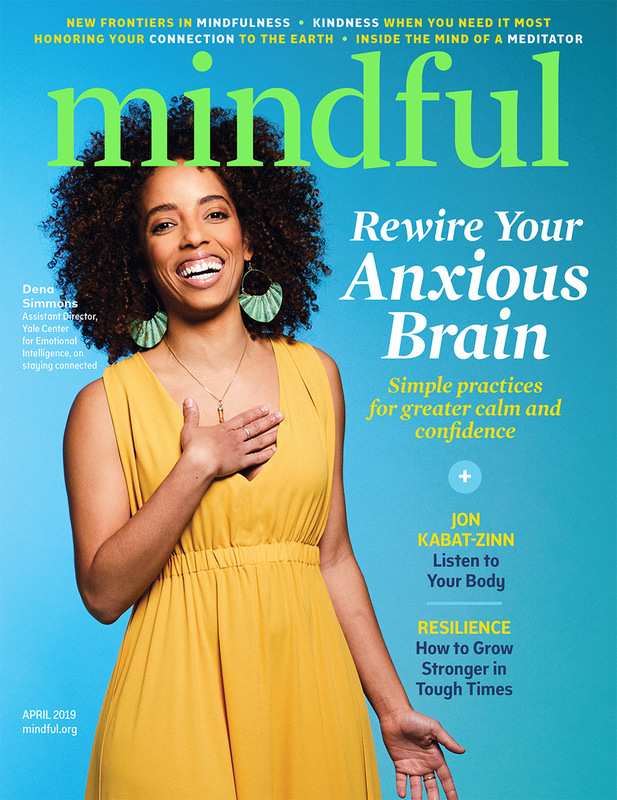 And when Mindful magazine was started six years ago, it was sort of the early entrant into the marketplace; why do you think it took so long for the population to realize that it’s important to be mindful? Why now? Anne Alexander: That’s a great question. I think the “why now” is because we’re experiencing a tremendous confluence of events, and stress is epidemic and mindfulness is one of those things that can help people destress. The instantaneous payoff is that mindfulness can help relieve stress, but over a longer period of time mindfulness is so important because we’re all involved with multitasking and our attention is being eviscerated by all of the technology that we have. So, our attention is constantly being drawn from our devices to all of the things that pull it away, so mindfulness is a way to bring our attention back, to enable us to regroup and to focus. Personally, I draw some parallels with how there was an explosion of interest in sugar; I wrote the “The Sugar Smart Diet,” which turned out to be nice because it was a New York Times bestseller. But in the same way that sugar had become so ubiquitous in our diet, I think we’re experiencing the same thing with all of these things that call our attention away from other things and dilutes our experience of being alive and feeling that we’re present in the moment. We’re worried about the past; we’re worried about the future; our attention is being drawn to what’s on the news, what’s on our devices, what’s on the radio; just all of these things. What’s happening on Instagram and Twitter. All of these things are splintering our ability to concentrate and to focus, and the beautiful thing about mindfulness is that it’s the antidote to that in so many ways, because it enables you to just focus on what’s going on in the present moment and to feel more alive and more awake actually while you’re in that moment instead of worrying about the future or the past. So, it’s something that’s very easy; it’s very accessible, and it delivers an ability to feel alive and awake in the moment in ways that we don’t really feel right now. Samir Husni: What do you think when some people tell us the future is for AI and there will never be an artificial mindfulness, that it still has to be part of the human being? 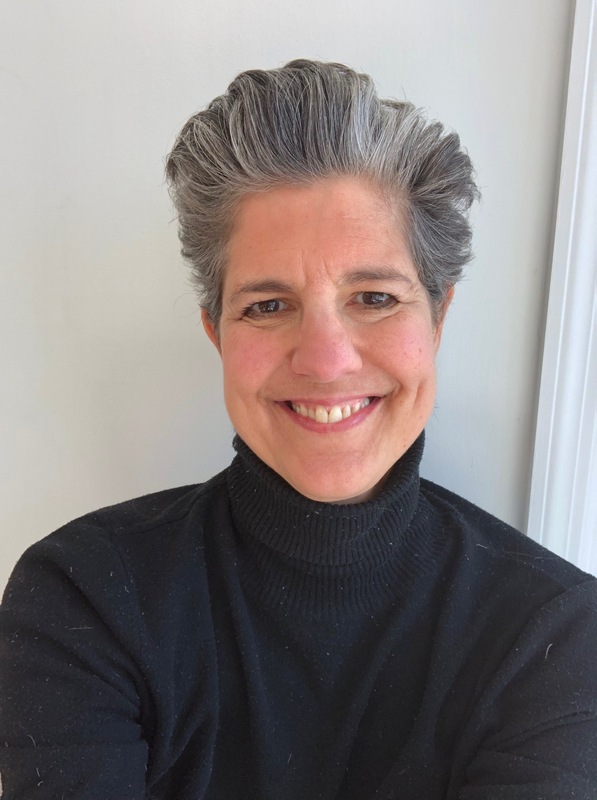 Anne Alexander: Whether or not there’s an artificial AI version of mindfulness, or whether AI instruments develop their own form of mindfulness is something for other folks to ponder. I think that the human mind is such a valuable property that mindfulness enables us to reclaim that beauty and whether or not we want to develop that in some artificial way; I’m sure there are other ways to artificially stimulate ourselves, but I think that mindfulness is something that is inherently human. Samir Husni: In that “me” moment, when you want someone to pick up your magazine and engage with it or go to the website, are you going to ask them to drop their Smartphones, close their computers, and sit down and enjoy the moment, or do you see the role of the printed magazine as changing too? Anne Alexander: What I would love to do is ask them to try each of those things, because the online experience is wonderful for many reasons. The online experience with our articles, we can help inform people and empower them in some ways. We have a whole podcast series that’s going gangbusters, and those are audio practices that enable people to experience mindfulness through meditation. And oftentimes that happens on their devices, and in that case you would want to be tethered to your device. You would want to be experiencing the meditation or practice using your device. 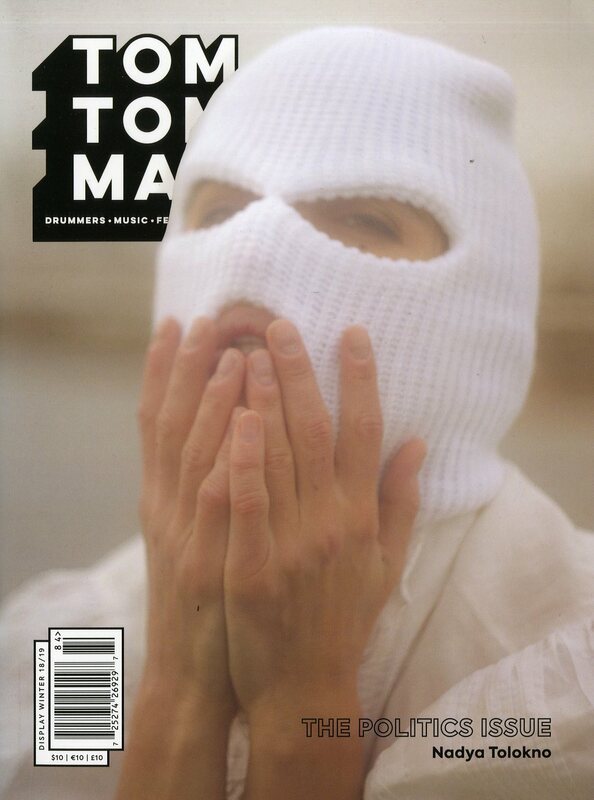 But what I love about the magazine is it’s also sort of the antithesis of that. It’s the best of slow media, if you will, because it helps people to focus, to slow down, to savor the moment. In some ways our articles are old-fashioned, almost artisanal compositions. We have art directors and editors who really focus on the nuance of what we’re trying to say. I think that’s one of the reasons that readers are responding to it. It really gives them that ability to savor and come together on a topic. That’s what I love about magazines, they’re such an intimate form of communication. 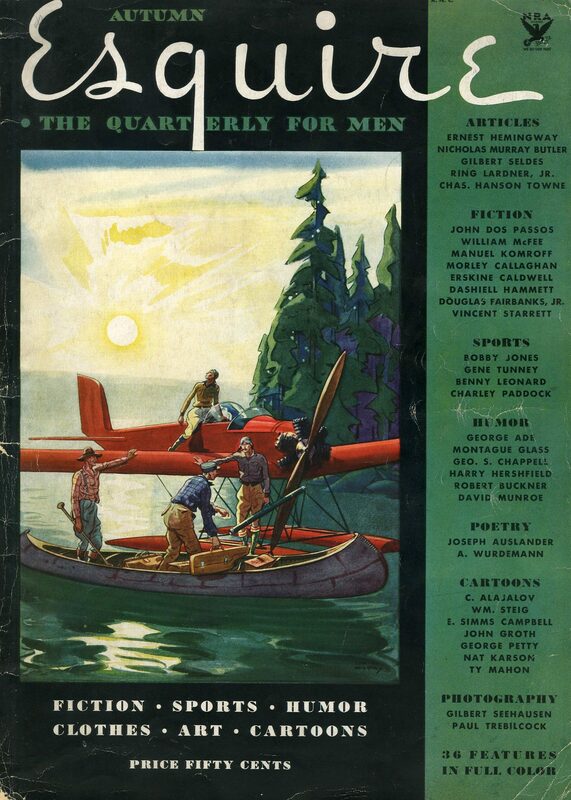 When a magazine is done very, very well, I think that the reader feels an intimate connection with the writer, the editor, and the art director, and they have a beautiful experience. It’s a deep, rich experience. So, I would answer that question in multiple ways. I think there is a role for the digital version and a role for the print magazine. One of the really nice things about Mindful is all of these different growth areas. The print magazine serves in a very traditional and what I call, slow media way, which is to just give people that ability to pause and enjoy something and to absorb it. And to be visually delighted and to be stimulated through that word. And again, it’s a very intimate connection. And I think that our online version can do that as well or our podcasts can do that. We’re also doing these community-based Facebook Live posts, where you get to interact with other people. We’re doing Mindful30, which is a video course. So, there are so many different aspects of the brand and our goal is to meet people where they are and to serve them in whatever ways we can. Samir Husni: In your mission statement you say that you’re mission-driven but not for profit. And this isn’t new for you, you’ve worked with the National Geographic Society when they were not for profit. How does that differentiate your look or your approach to editing? Does it make a difference whether you are working for a nonprofit or a for-profit entity in your experience? Anne Alexander: In my experience it’s funny, I tend to be somebody who is always drawn to the sort of do-gooder enterprises. That’s just my passion, trying to help empower people to live happier, healthier lives. And there is a purity about that, in terms of trying to provide people with information that is truly empowering for them. It gives them the tools that they need to live a happier, healthier life. Or in the Mindful case, we like to think of it as living a well-balanced, meaningful life. So, we’re giving people the tools to do that. With Mindful, part of the nonprofit status and the mission-driven status is to bring the message to as many people as we possibly can. So, there are a whole group of initiatives that we’re undertaking, such as Mindful30, which is an invitation to anybody to sign up and to get 30 days of really good mindfulness information. And part of the proceeds then go to supporting educators in the field who are bringing mindfulness to various institutions and educators. So, I think that’s one of the benefits. The nice think about mindfulness, or Mindful, is that the good work that we’re doing, the benefits that we’re accruing, we’re trying to put that back out and to benefit the wider audience. And in some ways it’s a more direct approach than what we were doing at Rodale, and certainly some of the benefits at National Geographic were going back out to help the environment and various things. With Mindful, because it’s such a small organization, you can actually see the benefits and where the revenues are going, to which cause. So, it’s very specific. You can see it on almost a one-to-one basis. Samir Husni: Do you see yourself as a content provider or an experience maker in this world of editing? Anne Alexander: That is a great question. I believe that when content is done well, you are delivering an experience to people. When you have the beauty of combining visuals, you’re always creating an experience. To me, that’s the beauty of the work. That’s what I love about being an editor. You’re seeing the content isn’t just the words, it’s the words and how they’re presented and how they’re visually presented. And in order to be successful, I truly believe that has to be an experience for people. Samir Husni: As you take over the helm of the magazine; you’ve been consulting with them since August, but now you’re the editor. Are we going to see any changes with the magazine or are you going to stay the course? Anne Alexander: We’re definitely staying the course because it’s been a very successful brand. But actually you will see changes or you could spot changes because I started consulting and working with them in August. You can start to see it in the covers. One of the things that we did with the cover for the January/February issue is we did a beautiful cover with Manoush Zomorodi on self-compassion. I love to try and have a photograph of somebody who just looks so natural and appealing and so authentic. And our April cover is with Dena Simmons, who is the assistant director at the Yale Center for Emotional Intelligence. And again, I just think there is a beautiful authenticity to her on the cover, and I’m so excited as I look at other folks for the cover to cover on the inside. Everybody has their work that they bring; to me I really want to make the magazine feel that you’re communing with it to bring out the humanity of it and to show the leading experts in mindfulness and the tremendous work that they’re doing. The April issue coming out has an amazing story from Mark Coleman who is a wilderness meditation expert. He leads a lot of meditations in the wilderness and it’s a beautiful piece, because it’s so heartfelt about climate change. We used to think of going to nature as just this sort of restorative experience, the beauty of nature fills us with awe and all of these things. And now of course, with climate change, sometimes when we’re experiencing nature we have this deep sense of sadness and grief at what’s going on. And Mark talks about that, he talks about mindfulness and this ability to hold a paradox in your mind, to hold the beauty of nature and to hold your grief at the same time. What I loved about this article was it’s very emotional. And again, to your question about whether content should be an experience, I believe it should be an experience. The words that he’s written are an experience. And the art is an experience, because you can’t help but look at the art and have your heart moved by seeing these polar bears, by seeing what we’re doing. And yet there’s also hope in the piece. I guess what I try to bring to everything I do is a sense of connection. In order to move people to action or to inspire people, you have to touch them; you have to have them feel that they’re a part of something and that they’re emotionally moved. So, I would like to think that the art, the stories, are going to have a very strong emotional connection. I think that’s one of the things that we’re looking for quite frankly. Samir Husni: We’ve chatted before and we’ve corresponded, but I have never felt you so passionate about a subject matter. When you launched National Geographic History, you were passionate about the subject, but you weren’t beaming like you are about Mindful. Anne Alexander: I actually think the secret sauce of that History magazine was and is, in some ways, being able to put people into historical perspective. Being able to put them on the beach in those Roman outfits; what’s it like to march 60 miles a day? And in some ways it’s the same. It’s creating a visceral reaction and that’s what I love to do. So in some ways it was so funny for me to work on a history magazine, because that’s my true calling, is to try and move people. And to emotionally engage with them. So yes, I was excited about that, but I was excited about that because I felt like I was somebody bringing a very different skillset for a very different subject. Mindful is something that’s really important to me, and it’s important not just on an individual basis, but it’s important from a community, social and logical standpoint. We’re all so isolated now from a community, sociological point of view. And it’s important to see other people as humans in order to connect and engage with them and to care. Samir Husni: Do you ever feel that you’re swimming against the current? That the audiences have been brainwashed so much and then you have to de-brainwash them? Anne Alexander: I think people need to be reminded and given permission to slow down and to pause. And that’s where, if there’s a brainwashing that needs to be undone, that’s where mindfulness is coming in, and that’s part of what’s driving the growth of mindfulness. We’ve been going faster and multitasking, thinking it’s cool to have more than one device, and I think that we’re coming to a sense that our attention is a resource that needs to be guarded; it needs to be nurtured and protected and cared for. And the idea of slowing down and pausing is actually something that’s our human right. To do that is something that is important for us and for the community. So, do I feel like I swimming against the current? I don’t know if I’m swimming against the current, but I think Mindful as a brand is sending out a very important message. There’s a reason why this brand and this concept is growing. It’s a message that people need to hear and need to be reminded of. Samir Husni: If you and I are chatting a year from now, what would you hope to tell me you had accomplished with Mindful Magazine and the entire brand? Anne Alexander: There are so many growth areas. I would love to see the magazine engage with more people. I would love to see the website engage; we’re reaching like 1.2 million people on a regular basis through the different formats. And there is such a need for mindfulness in the healthcare community and the educator community. And we’re doing work with Aetna and Harvard Pilgrim and Kaiser Permanente, in terms of developing content about mindfulness in healthcare. I would love to be able to feel that we have enabled even more people, whatever would be a tremendous growth, but enable people to connect with themselves, with the present moment, and for them to feel a sense of relief. If we could provide those tools for more people, I think that would be a tremendous accomplishment. And to do it with integrity. Samir Husni: Bryan Welch is now the new CEO of Mindful. And Bryan comes from a not for profit business that he started before and before that Mother Earth News. How is the new team going? Can you give us a glimpse of working with Bryan? Anne Alexander: I’m inspired. I love Bryan, because I think Bryan thinks big. And Bryan brings a perspective on strategic growth and opportunity that will really help boost this brand and the company to the next level. He has the street cred to not only believe it, but to help make it happen. So, I am looking forward to working with him. And I think that tremendous things are possible and Bryan will help get the brand there and he’ll do it with his own tremendous integrity. Anne Alexander: I think it’s a great group and I’m delighted to be working with them. They’re really smart and this field is growing. One of the things with Barry Boyce, and Jim Gimian who is the founder, they are really committed to carrying a message and the information about mindfulness in a way that’s really responsible. I was recently on the phone with Amishi Jha, who is one of the top leading neuroscientists in the field of mindfulness, and we were talking about how do we grow and maintain that level of integrity and commitment. To not overpromise or oversell. This is a field that’s growing. Time magazine is in this market, and lots of people are in this market. But one of the things that really makes Mindful stand apart is this tremendous commitment to getting the information right and not overselling. Samir Husni: And it’s not just one book, it’s really living it. Anne Alexander: Yes, and really being in league with the top researchers who are doing this. We take tremendous pride in working with people like Amishi Jha and Pat Rockman, with the people who have been in this field for years and years, and take it seriously and do incredible research. They aren’t just doing things fly-by-night. You can find apps and all sorts of things claiming to be mindfulness and that claim all sorts of benefits, which their research hasn’t really been out. There are tremendous benefits with mindfulness, but we want to stick with things that are truly credible. Anne Alexander: I think sometimes people can be intimidated and I try to be really, really nice and really human and fun. Anne Alexander: I’m such a creative at heart. I love cooking. I love to try and throw together a meal that my kids will actually eat. I’m the mother of three teenagers. And to me, I enjoy cooking and it’s such an accomplishment. I love it if I can make a meal and they all actually eat it and it disappears. And everybody is happy and we all have a sense of contentment. And then we watch something on TV together. It’s usually a debate between “Chopped” or “Locked Up Abroad” or something. I just like hanging out with my kids. We have a dog and two cats and two goats. I’m taking my yearly teacher training right now, and if I can get my kids to agree for me to teach them yoga and be my stand-in class, that would be fantastic. My son is 16 and he wants to join the Marines, and so we’re doing this marvelous piece about mindfulness in the military. And he kind of thinks this mindfulness stuff is a bit softy-softy, but when I started telling him why and how it benefits the Marines and the Army, I love seeing his ears perk up and he says, “Oh really?” So, he takes a little more interest in what his mom is doing. You’re grabbing the ideas from the ether and you’re bringing them together with other people. Deepak Chopra talks about it as pure potentiality and that’s exactly it. You’re bringing these ideas in and working with people to create them. And being this sort of brand mama, you give birth to them and then see whether people like them. And it’s an amazing experience. Health magazine has been a trusted authority in wellness for almost forty years. 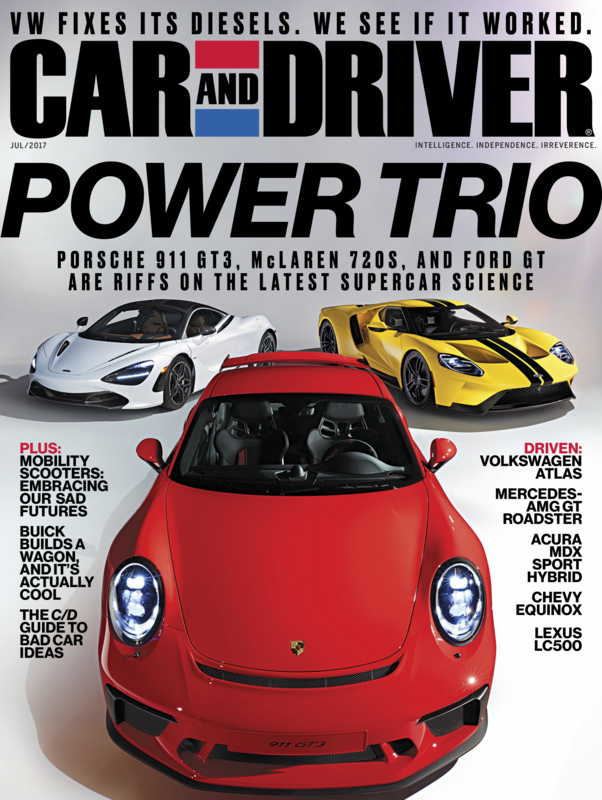 The January/February issue marks the debut of an updated design with a cleaner look and bolder typography. Editor in Chief Amy Conway has led the brand’s creative team to provide the magazine’s audience with inspiring and empowering information that speaks to the way people think about wellness today, and the redesign is an offshoot of that, her belief in the way health and wellness are reflected in today’s society: clean, simple, fresh, and modern. 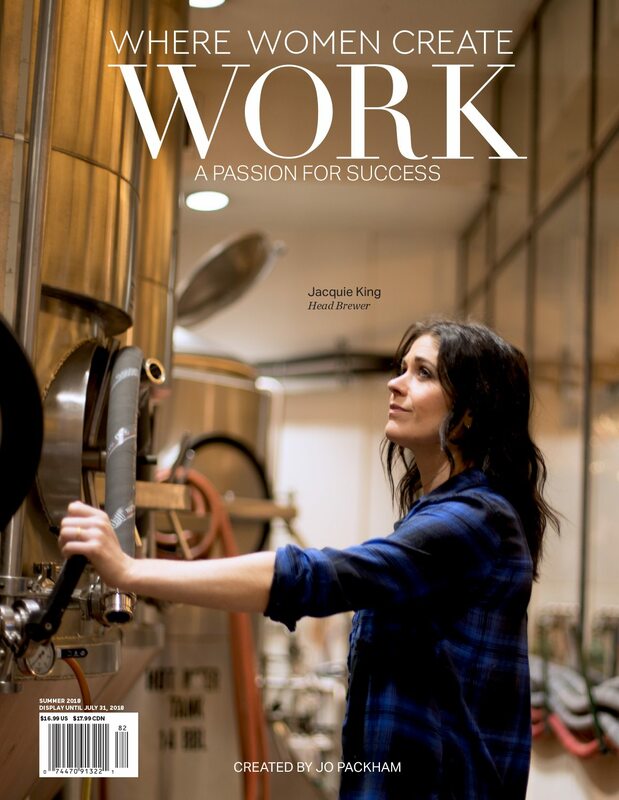 I spoke with Amy recently and we talked about the redesign and the infusion of streamlined simplicity that it gave the magazine. Amy defined Health as the handbook for living well in every way. She added that the magazine was staying true to its roots in giving readers smart, science-backed health content they can trust. And with the redesign, that same trusted content is showcased in a much fresher and more modern design. Amy’s belief in the power of the printed cover is also deep. 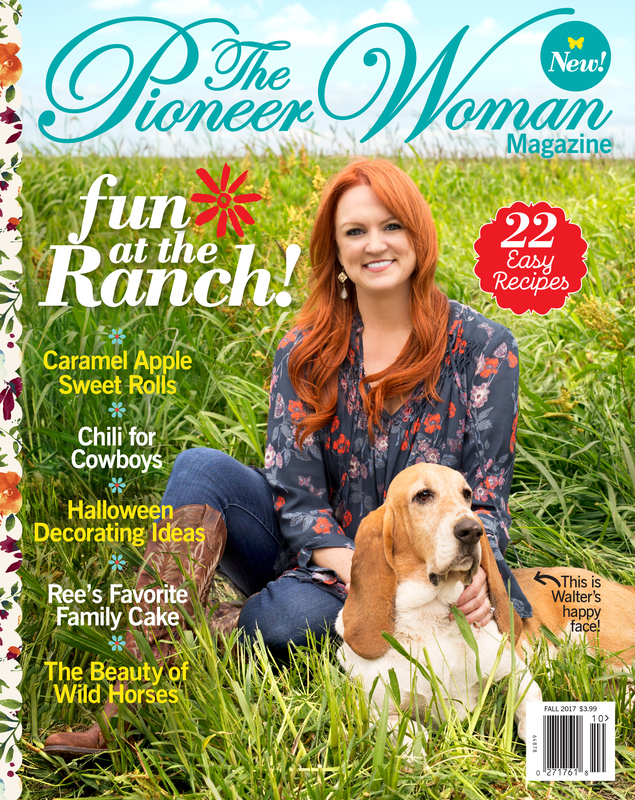 The cover of the magazine is a powerful tool and Amy believes it still holds the key to credibility and that there is no substitution for that credibility. 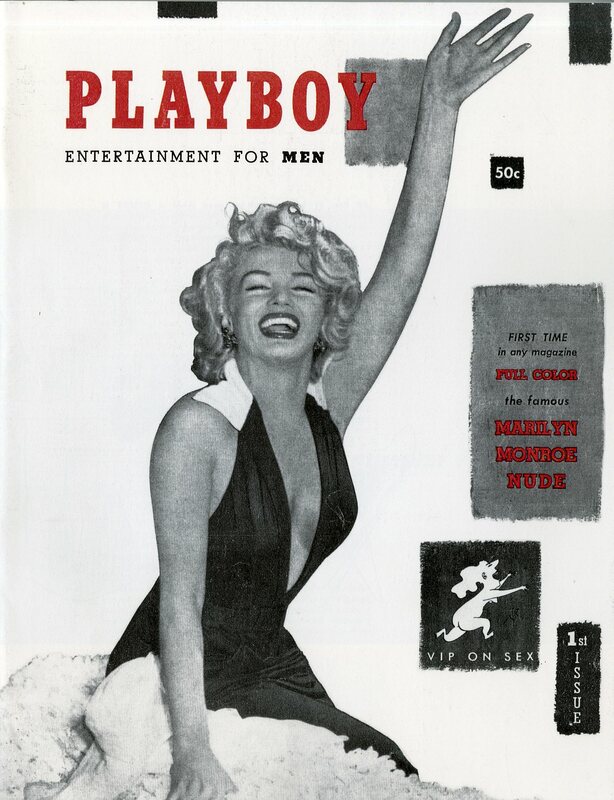 The cover of the magazine still holds permanence and integrity as nothing else does. So, I hope that you enjoy the Mr. Magazine™ interview with Amy Conway, editor in chief of Health magazine. 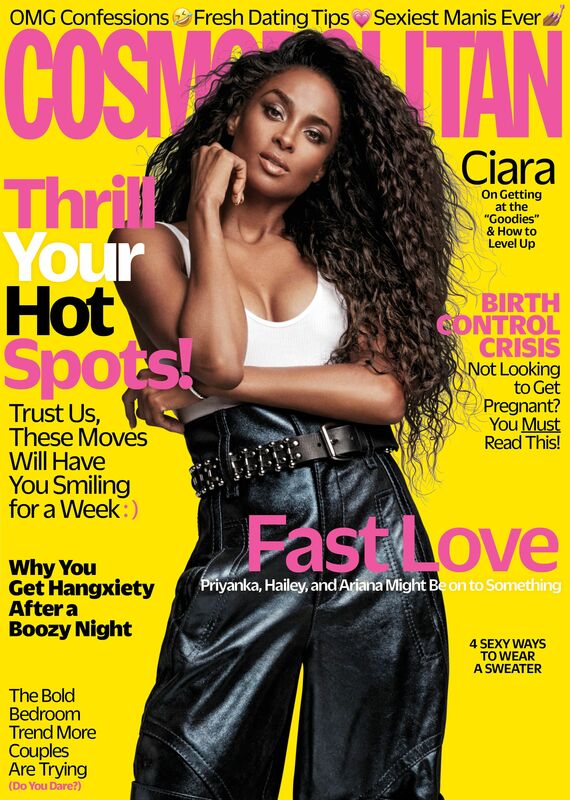 It’s a refreshing conversation that will have you seeking good “Health” at the newsstands. On her first few months at Health magazine: It’s definitely been an evolution since I got here. What I always tell people is that I was a subscriber to Health and a fan of the magazine before I was the editor. I love working out and I’m very interested in food and nutrition and in living well longer. So, I am a reader. Lucky for me, this is really a dream job for me. And again, as a reader of the magazine, I knew when I came on that this brand had a lot of talented people creating great content. It’s really solid, trusted information, this magazine has been around, and people really rely on it. But at the same time, I knew that I wanted to refresh it, both visually and in terms of the tone. So, that’s what we’ve been working on for the last several months. On how her job as an editor today has evolved or changed over the years: To be an editor you have to be curious and you have to be thinking all the time about what’s happening in our industry, about what our readers want, and you have to be really, really agile. It’s a very dynamic environment. Certain things stay the same. You mentioned that I used to work for Martha Stewart Weddings in particular, right before I came over here, and the two brands might seem really different, but in fact they’re both about quality, authority, and authenticity. So, there are qualities that you can bring, values that are a part of you professionally that you can really bring to any brand and any job once you’ve been in this industry for a while. 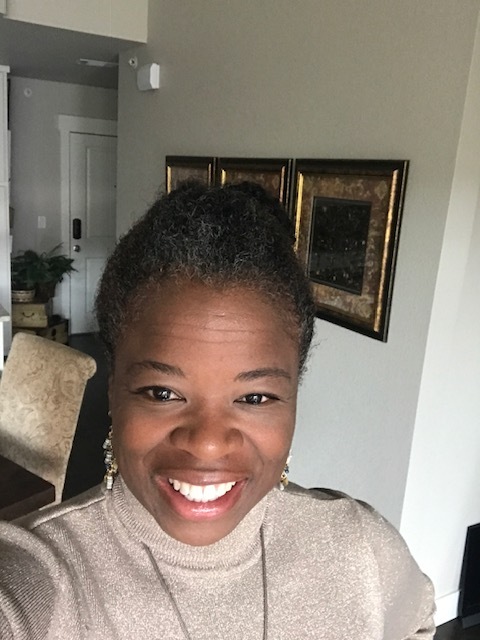 On some of the changes she has seen taking place in the health and wellness magazine category: People are just very interested in taking care of themselves, but the shift that I’m really interested in is this idea of health infusing your entire life. And that’s something that we’re bringing to the magazine. Positivity, the sense of motivation, and we’re really empowering our readers to take good care of themselves. On the value proposition for people to pick up a copy of Health magazine rather than Googling something: If they’re Googling something they have a specific concern and they’re going to find information on it online. And they’ll most likely end up on health.com, which is great because we have a ton of amazing content there. So, we don’t need people to stop doing that. Instead, the magazine is a different experience. Each issue of the magazine is just a beautifully curated product that stands on its own, so we craft our lineups for every issue to feel cohesive and interesting, to be this great mix of information that will stand the test of time. 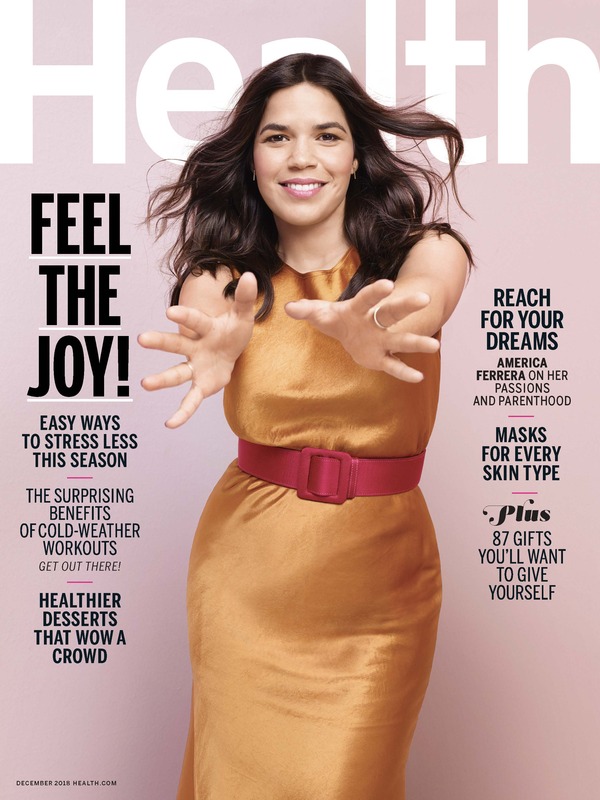 On whether she tries to do things differently than other health and wellness magazines in the marketplace, such as Women’s Health or Shape: It used to be a much more crowded marketplace in this area, and many areas in our industry. Our publisher always says that there’s been a little bit of a natural selection that’s happened, so the magazines that you just mentioned are the big ones in this area. And of course Shape is one of our sister brands, they sit right next to us here at Meredith. The thing that’s nice is that because there are fewer brands out there, there’s really room for all of us. There are certain things that we cover where there will be overlap. Sometimes I’ll read those magazines and discover that we were going to do that same topic, but then we pivot and do something a little bit different. On her unique selling proposition when it comes to Health magazine: Health is the handbook for living well in every way. We are staying true to our roots in giving readers smart, science-backed health content they can trust, whether about physical or mental health, fitness, beauty, or food and nutrition. We geek out over the details and love going deep into topics. We don’t just tell you WHAT to buy, we tell you WHY. So if we say a certain beauty product should be in your arsenal, we explain how it works. On why today she thinks we see health magazines for men or women, but we don’t really have anything for both anymore: I think a lot of the health concerns are different for men and women, and frankly as I’m sure you know, this is a business and the advertisers are definitely going to be different for men and women. So, from a practical standpoint, that’s the way it is. And there’s a lot of content in our magazine; you can do a lot of mental health, emotional health, and relationship health that could be that a man would find interesting. And certainly I’m sure that men are picking up the magazine as well when they see it in their house, But yes, you do need to target a little bit, both from an editorial standpoint and a business standpoint. On whether she has a specific reader in mind when she assigns articles or stories: We are creating content for a woman who is an adult; she’s not a kid, she’s probably in her 30s, 40s, or 50s and so that’s a pretty big range, there are going to be certain commonalities in that area. But we are creating content that should be applicable and of interest to women in that range. So, when we’re thinking about articles, and that’s the fun part of the job, there are so many different, amazing things that we can cover. We’ll sometimes get excited about something and think well that’s probably a bit too narrow or that’s not going to appeal to everyone, so we try to come up with story ideas and packages that are going to appeal to, again, this woman who is looking for information that will help her live her life now and as she gets older and looks at these different stages in her life. On whether she ever hits a stumbling block where ideas are scarce: Definitely not. We wish we had more and more pages. There is an infinite number of topics that we can cover, and literally one of the most challenging parts of the job is editing down all of the things that we are excited about here at Health, editing them down to fit into an issue of the magazine. On what she would hope to tell someone that she had accomplished at Health in 2019: I would say that we would have created a year’s worth of beautiful magazines; the cover is something that we’re really focusing on, of course, it’s a “welcome to the magazine” for every issue. So, we would have created a year’s worth of beautiful magazines with really enticing covers, working with amazing subjects for those covers and great creative teams, photographers as well, to really set the tone that we’re looking for with Health. And the magazine would be robust; we’d be getting great feedback from readers and advertisers, and we’d really be a part of the conversation out there in a big way, in terms of the health and wellness space. On what she thinks the role of the cover is today, and is that role different today than it was when she first started in the industry: Covers definitely used to be more of a selling vehicle, you needed to scream at readers on the cover to stand out on the newsstand. And it’s a little bit different now for Health. When we’re looking at our covers, for us, we want to stand out by being a little bit quieter and when we were thinking about January/February, the first cover of the redesign, it has Connie Britton on the cover, we were really thinking of it almost as if it were a poster. And we wanted it to look beautiful on its own. We feel like that’s what’s going to make it stand out, and that’s what’s going to make people happy to have it in their home. On whether that description of the cover fits the majority of magazines today or just Health: I was just speaking about Health, but I do think it’s pretty incredible what we’re seeing in covers out there. People are being less formulaic and they’re looking more to catch your attention with something different and something interesting. So, it’s really fun to look at the newsstand and see what people are doing, because I think a lot of the formulas are going out the window. Their old conventional wisdom, the rules that you were supposed to follow, people are breaking those rules all of the time. And it’s really fun to see. On whether she thinks the power of print is that you can’t get that same emotional reaction from humans if they just see it or read it online: I do think there is something very special about print and holding a magazine in your hand and looking at these beautiful pictures of her, but certainly you can get an emotional reaction from reading something online as well. They’re different experiences, but what I think is exciting about the time where we are right now, is that there are so many different ways to reach a reader. The fact is when you have a strong brand you can reach your reader in many different ways. You have print and digital; you have social, and there are just new things coming all the time. You just have to have a strong brand and then you can reach your reader in all the places where they are. On when she reaches out to people to be on the cover, if they ask is it for the cover of the magazine, or does it matter to them if it’s print or digital: When we reach out to them, we ask them to be on the cover and being on the cover of a magazine is still a really powerful thing for people. So yes, in terms of that, being on the cover of a magazine, there is no substitute for that. It’s a permanent thing, so to speak, that you’re creating. And it’s a beautiful object. It’s a living entity, and there is no substitute for that. On anything she’d like to add: With the redesign, we wanted to give the magazine a much fresher, cleaner, and modern feeling, which really reflects the way people feel about health and wellness today. Our design team is amazing and they worked to give the magazine a cleaner, more streamlined and simple design. It’s inviting and a little bit more elevated. So, we really redesigned the magazine from the covers right on through. On what grade she would give the redesign project if she were a professor grading a class project: I have to give us an A, but I will say there’s always room for improvement. You do the redesign issue, and anyone who’s worked at a magazine knows this, you do the redesign, it feels like you’re working so hard on this one issue and then you can breathe for about a second and then you’re working on the next one. And you can always make it better. The redesign is not an endpoint, it’s a beginning. And then you have to keep going from there. On what she would have tattooed upon her brain that would be there forever and no one could ever forget about her: This question of yours, Samir, I always think of as: what’s your mantra? And that’s the language that we use over here at Health. So, I would say be kind, work hard, appreciate the little things, and hug your kids. On what keeps her up at night: Sleep is something that I am absolutely working on. I’m trying to sleep more and sleep better, that’s definitely a goal of mine. It’s a work in progress, the sleep thing. And now the lightly edited transcript of the Mr. Magazine™ interview with Amy Conway, editor in chief, Health magazine. Samir Husni: It’s been a little over six months since you took over Health magazine, has it been like a walk in a rose garden for you? Describe your first few months at Health. Amy Conway: It’s definitely been an evolution since I got here. What I always tell people is that I was a subscriber to Health and a fan of the magazine before I was the editor. I love working out and I’m very interested in food and nutrition and in living well longer. So, I am a reader. Lucky for me, this is really a dream job for me. And again, as a reader of the magazine, I knew when I came on that this brand had a lot of talented people creating great content. It’s really solid, trusted information, this magazine has been around, and people really rely on it. But at the same time, I knew that I wanted to refresh it, both visually and in terms of the tone. So, that’s what we’ve been working on for the last several months. The first couple of issues that I worked on; there were a few little tweaks that I made, but really things had been in progress already and I kind of just went with that for a couple of issues. But then we started working in earnest on the January/February issue, where we did the redesign and a bit of a refresh of the brand overall. So, that’s what we were working on and now we’re well underway with that. It’s been fun and it’s been hard work and both of those things are continuing. Samir Husni: Before Health, you were the editor of a wedding magazine and editor of Martha Stewart’s books; if someone asked you what qualifies a person to be an editor today, compared to five or ten years ago, what would you tell them? How has your job evolved or changed over the years? 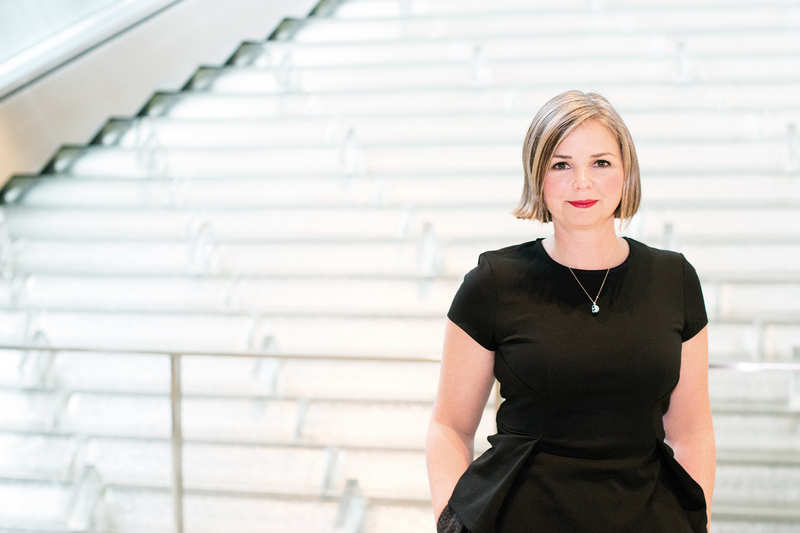 Amy Conway: To be an editor you have to be curious and you have to be thinking all the time about what’s happening in our industry, about what our readers want, and you have to be really, really agile. It’s a very dynamic environment. Certain things stay the same. You mentioned that I used to work for Martha Stewart Weddings in particular, right before I came over here, and the two brands might seem really different, but in fact they’re both about quality, authority, and authenticity. So, there are qualities that you can bring, values that are a part of you professionally that you can really bring to any brand and any job once you’ve been in this industry for a while. Samir Husni: As you look at the industry, specifically the health and wellness category, being an avid reader, a marathon runner and an exercise enthusiast; what are some of the major changes that you see taking place in the health and wellness magazine category? Amy Conway: The health and wellness world is really exploding right now. People are so interested in taking good care of themselves, which is amazing. And some sort of poke fun at it a little bit, because certainly having specific workout clothes or gear or going to certain classes is a bit of a new status symbol. So, you could make fun of that a little bit, but at the same time, if going to a great yoga class becomes a status symbol, that’s a lot more positive than some things that people could be doing. People are just very interested in taking care of themselves, but the shift that I’m really interested in is this idea of health infusing your entire life. And that’s something that we’re bringing to the magazine. Positivity, the sense of motivation, and we’re really empowering our readers to take good care of themselves. It wasn’t too long ago that when people thought about health and particularly media and the stories that were out there, it was about quick fixes and about losing five pounds in a week, and it’s really not about that. For me, what we’re trying to do is just help women be the very best that they can be, to reach their own goals that they want to set. We’re not going to tell them exactly what they should do, we’re going to give them ideas and we’re going to give them inspiration and they should feel really good and strong and empowered after reading our magazine, and have it be a positive experience. And then use it to make the changes that they want to make in their own lives. So, we’re not going to tell them what’s wrong with them, we’re going to tell them how to be the best person that they want to be for themselves. To live well, to feel good, to eat well, and to just bring all of these positive changes about in their lives. Samir Husni: In a digital age, where the first thing a lot of people do is Google if they have a question about something, how do you show them the importance of Health magazine, whether in print or digital? 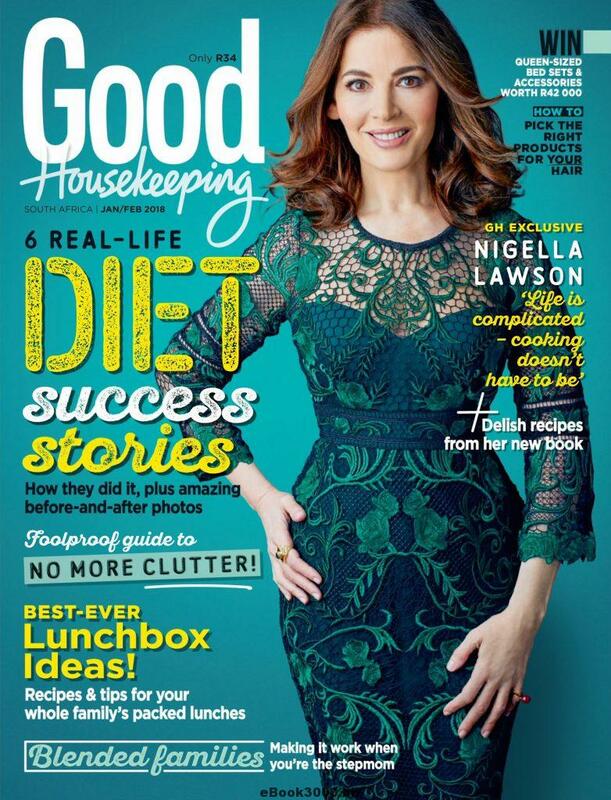 What is the value proposition for people to pick up a copy of Health magazine rather than Googling something? Amy Conway: If they’re Googling something they have a specific concern and they’re going to find information on it online. And they’ll most likely end up on health.com, which is great because we have a ton of amazing content there. So, we don’t need people to stop doing that. Instead, the magazine is a different experience. Each issue of the magazine is just a beautifully curated product that stands on its own, so we craft our lineups for every issue to feel cohesive and interesting, to be this great mix of information that will stand the test of time. So, when you come to our magazine, you’re going to be surprised and delighted we hope by what you find in each issue. You’re going to be informed, inspired and you’ll find things that are relevant to your life because we know our reader and what she wants. And again, it’s a different experience. You’re going to go online and search for something more likely and you’ll come to us and you’ll get this mix that we’ve created for you and hopefully feel that it really enhances your life. Samir Husni: Being a health enthusiast and an avid reader of Health even before you were the editor, when you’re looking at the entire health and wellness magazine spectrum out there, do you feel you need to do things differently? For example, Health magazine needs to do this differently that Women’s Health or Shape or other magazines in the same category? How do you conceive your new issues of Health and do you take into consideration what’s already on the marketplace? Amy Conway: It used to be a much more crowded marketplace in this area, and many areas in our industry. Our publisher always says that there’s been a little bit of a natural selection that’s happened, so the magazines that you just mentioned are the big ones in this area. And of course Shape is one of our sister brands, they sit right next to us here at Meredith. The thing that’s nice is that because there are fewer brands out there, there’s really room for all of us. There are certain things that we cover where there will be overlap. Sometimes I’ll read those magazines and discover that we were going to do that same topic, but then we pivot and do something a little bit different. There are certain topics that we definitely have in common, but we each have our own vibe, so I feel like a reader could read all three of us, or could just come to one of us. There is room for all of us out there right now. Samir Husni: But for you, how do you decide on that point of differentiation? What is your unique selling proposition? Amy Conway: Health is the handbook for living well in every way. We are staying true to our roots in giving readers smart, science-backed health content they can trust, whether about physical or mental health, fitness, beauty, or food and nutrition. We geek out over the details and love going deep into topics. We don’t just tell you WHAT to buy, we tell you WHY. So if we say a certain beauty product should be in your arsenal, we explain how it works. Some of the other brands out there go deeper into fashion and lifestyle, and that works for them. But we keep it more focused on what women—largely in their 30s to 50s—can do to feel and look great as they move into and out of different life stages, to live better, longer. We want all women to feel welcomed by our brand. Inclusivity is important. Real, relatable advice is crucial–no false promises or unattainable goals. No more rock hard abs! Health means many things, and it comes in many shapes and sizes. All are welcome. 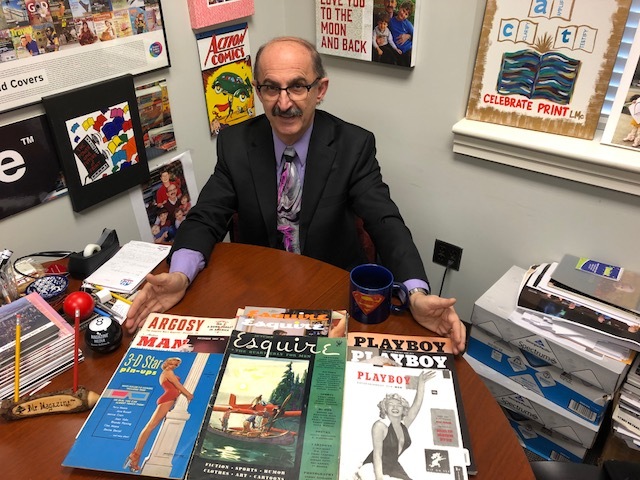 Samir Husni: At one stage when Health magazine was American Health, or actually it was a competitor before they merged, American Health magazine was published for both men and women. 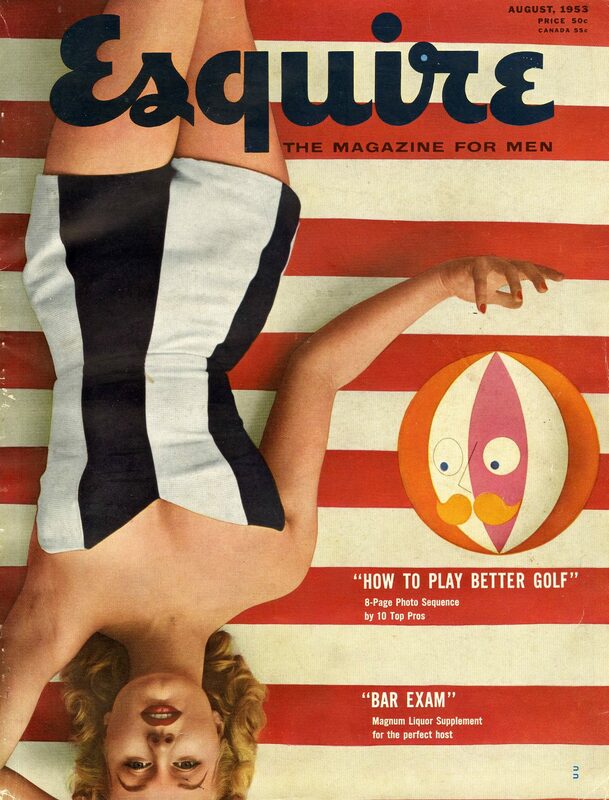 Why do you think today we see health magazines for men or women, but we don’t really have anything for both anymore? Amy Conway: I think a lot of the health concerns are different for men and women, and frankly as I’m sure you know, this is a business and the advertisers are definitely going to be different for men and women. So, from a practical standpoint, that’s the way it is. And there’s a lot of content in our magazine; you can do a lot of mental health, emotional health, and relationship health that could be that a man would find interesting. And certainly I’m sure that men are picking up the magazine as well when they see it in their house, But yes, you do need to target a little bit, both from an editorial standpoint and a business standpoint. Samir Husni: As you mentioned targeting, health is as general interest as it can be. As you are assigning stories, assigning articles, do you have a specific reader in mind? Do you think in terms of Amy is a reader and she’s 35-years-old and loves working out, or do you cast a wider net? Amy Conway: We are creating content for a woman who is an adult; she’s not a kid, she’s probably in her 30s, 40s, or 50s and so that’s a pretty big range, there are going to be certain commonalities in that area. But we are creating content that should be applicable and of interest to women in that range. So, when we’re thinking about articles, and that’s the fun part of the job, there are so many different, amazing things that we can cover. We’ll sometimes get excited about something and think well that’s probably a bit too narrow or that’s not going to appeal to everyone, so we try to come up with story ideas and packages that are going to appeal to, again, this woman who is looking for information that will help her live her life now and as she gets older and looks at these different stages in her life. Samir Husni: Do you ever hit a stumbling block where you seem to be running out of ideas? Amy Conway: Definitely not. We wish we had more and more pages. There is an infinite number of topics that we can cover, and literally one of the most challenging parts of the job is editing down all of the things that we are excited about here at Health, editing them down to fit into an issue of the magazine. And our website is really incredible and of course they can cover a much broader group of topics; they can cover a lot of newsy things. We have a great team on the web as well, so there’s great info there, some things that we can’t cover in the magazine because they’re just too specific, but they can do them online and they may perform really well there. Samir Husni: If you and I are chatting a year from now, what would you hope to tell me that you had accomplished at Health in 2019 and how happy are you with that accomplishment? 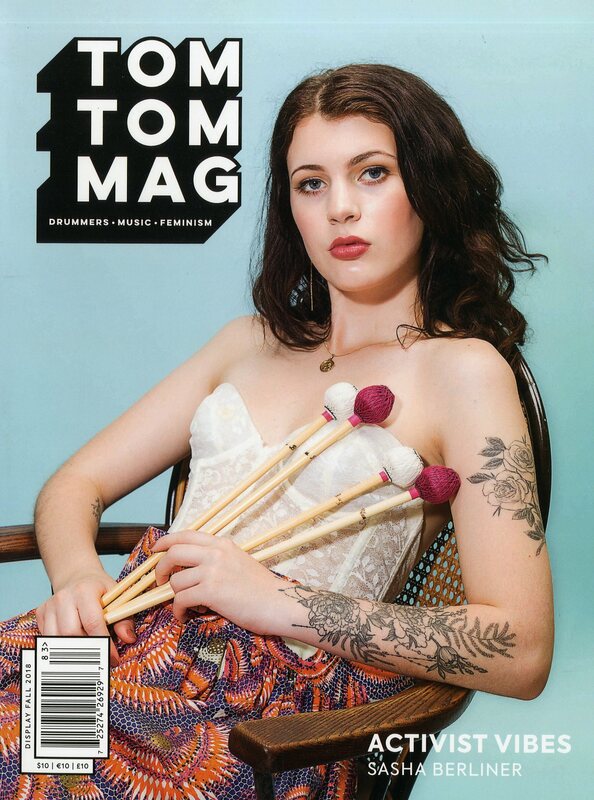 Amy Conway: I would say that we would have created a year’s worth of beautiful magazines; the cover is something that we’re really focusing on, of course, it’s a “welcome to the magazine” for every issue. So, we would have created a year’s worth of beautiful magazines with really enticing covers, working with amazing subjects for those covers and great creative teams, photographers as well, to really set the tone that we’re looking for with Health. And the magazine would be robust; we’d be getting great feedback from readers and advertisers, and we’d really be a part of the conversation out there in a big way, in terms of the health and wellness space. Samir Husni: You mentioned the cover, and I’m giving a speech soon about the role of covers in today’s magazine media landscape. 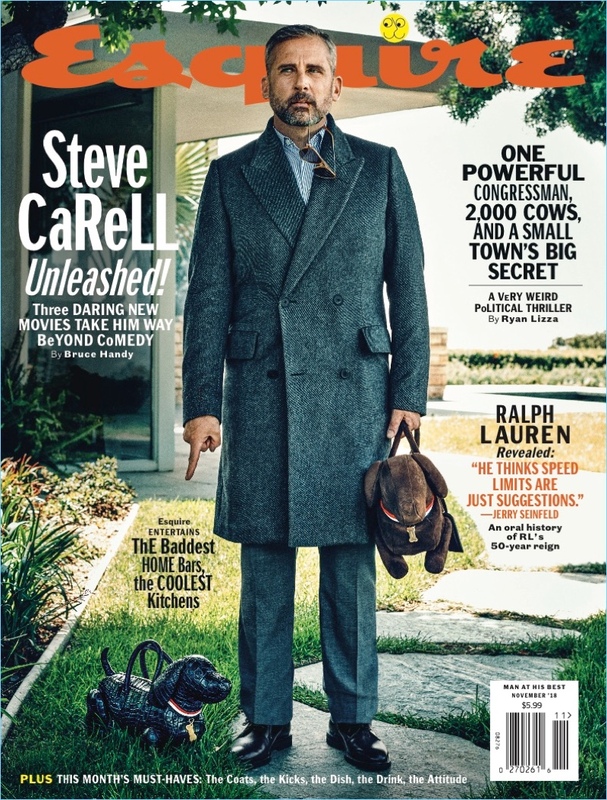 What do you think the role of the cover is today, and is that role different today than it was when you first started in the industry? 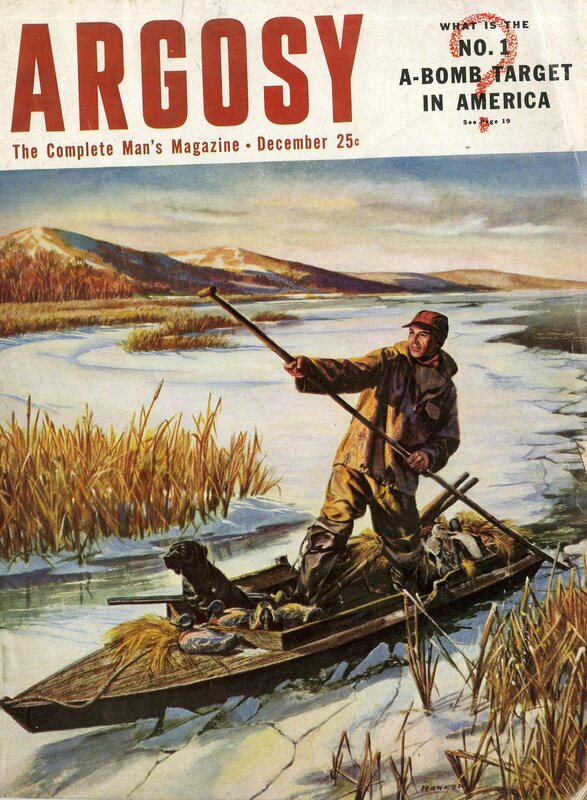 Amy Conway: Covers definitely used to be more of a selling vehicle, you needed to scream at readers on the cover to stand out on the newsstand. And it’s a little bit different now for Health. 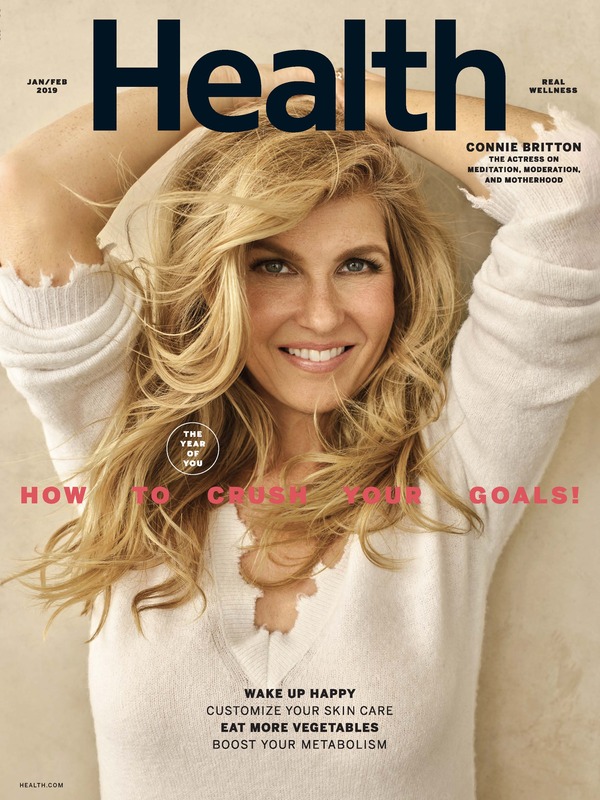 When we’re looking at our covers, for us, we want to stand out by being a little bit quieter and when we were thinking about January/February, the first cover of the redesign, it has Connie Britton on the cover, we were really thinking of it almost as if it were a poster. And we wanted it to look beautiful on its own. We feel like that’s what’s going to make it stand out, and that’s what’s going to make people happy to have it in their home. So, we’re going for something a little bit simpler and we want to sell it in that way, instead of really screaming at our reader with cover lines. Samir Husni: Do you think that description of the cover fits the majority of magazines today, or specifically just Health? Amy Conway: I was just speaking about Health, but I do think it’s pretty incredible what we’re seeing in covers out there. People are being less formulaic and they’re looking more to catch your attention with something different and something interesting. So, it’s really fun to look at the newsstand and see what people are doing, because I think a lot of the formulas are going out the window. Their old conventional wisdom, the rules that you were supposed to follow, people are breaking those rules all of the time. And it’s really fun to see. Our March issue is on sale now. 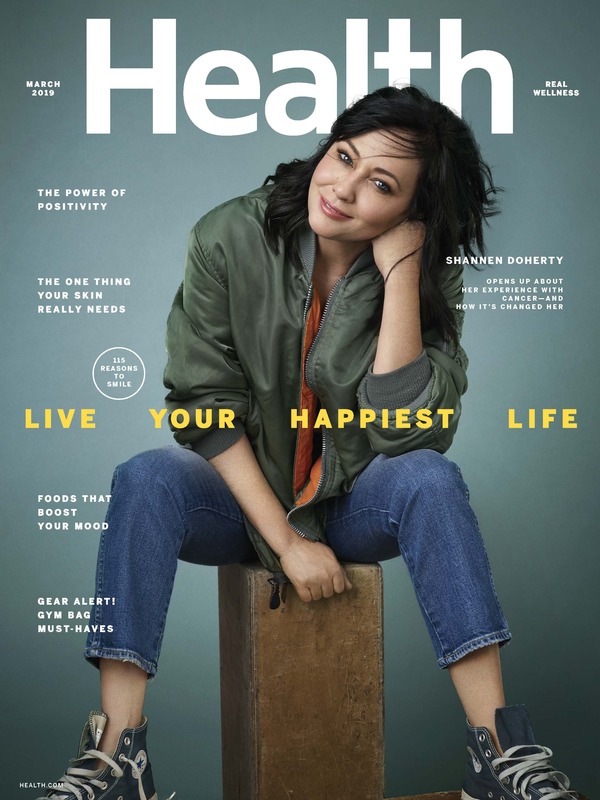 And we have Shannen Doherty on the cover and that was really interesting because she is obviously someone people are interested in, in general as an actress, but she also has a real health story to tell. She had breast cancer, she’s now in remission, and she just went through reconstructive surgery. So, she gave us this beautiful, really open, really raw interview, and that’s something that definitely sets this issue apart in a really special way. To see someone who is a personality who people know and want to read about, but she actually had something very powerful and resonant to share with us about Health. Samir Husni: Do you think that is the power of print, that you can’t get that same reaction from humans if they just see it or read it online? 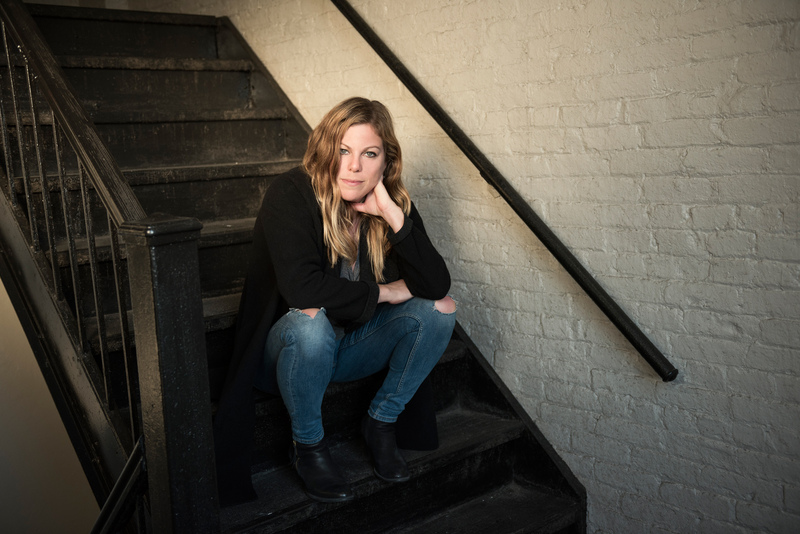 Amy Conway: I do think there is something very special about print and holding a magazine in your hand and looking at these beautiful pictures of her, but certainly you can get an emotional reaction from reading something online as well. They’re different experiences, but what I think is exciting about the time where we are right now, is that there are so many different ways to reach a reader. The fact is when you have a strong brand you can reach your reader in many different ways. You have print and digital; you have social, and there are just new things coming all the time. You just have to have a strong brand and then you can reach your reader in all the places where they are. Samir Husni: When you reach out to those people to be on the cover, do they ask is this for the cover of the magazine, or does it matter? Amy Conway: When we reach out to them, we ask them to be on the cover and being on the cover of a magazine is still a really powerful thing for people. So yes, in terms of that, being on the cover of a magazine, there is no substitute for that. It’s a permanent thing, so to speak, that you’re creating. And it’s a beautiful object. It’s a living entity, and there is no substitute for that. Amy Conway: With the redesign, we wanted to give the magazine a much fresher, cleaner, and modern feeling, which really reflects the way people feel about health and wellness today. 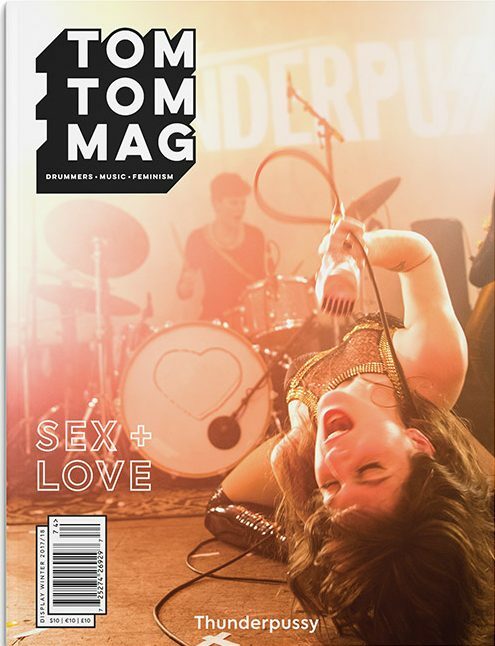 Our design team is amazing and they worked to give the magazine a cleaner, more streamlined and simple design. It’s inviting and a little bit more elevated. So, we really redesigned the magazine from the covers right on through. Samir Husni: So, you’re a professor, Amy, and you’re going to grade this project. What grade would you give it, an A, B+, an A-, a C? Amy Conway: I have to give us an A, but I will say there’s always room for improvement. You do the redesign issue, and anyone who’s worked at a magazine knows this, you do the redesign, it feels like you’re working so hard on this one issue and then you can breathe for about a second and then you’re working on the next one. And you can always make it better. The redesign is not an endpoint, it’s a beginning. And then you have to keep going from there. They’re always evolving, always changing, and you can always keep improving. Amy Conway: This question of yours, Samir, I always think of as: what’s your mantra? And that’s the language that we use over here at Health. So, I would say be kind, work hard, appreciate the little things, and hug your kids. Amy Conway: I have absolutely no idea how to answer that one. But now I’m intrigued. I may have to pull my colleagues aside and figure that one out. But I hope that I’m pretty much just myself with people, so I don’t think in those terms, but now you’ve really got me thinking. Samir Husni: Last time you and I talked, you were the editor in chief of Martha Stewart Weddings and now you’re at Health; so, are you sleeping better or is there something keeping you up at night? Amy Conway: (Laughs) Sleep is something that I am absolutely working on. I’m trying to sleep more and sleep better, that’s definitely a goal of mine. It’s a work in progress, the sleep thing. 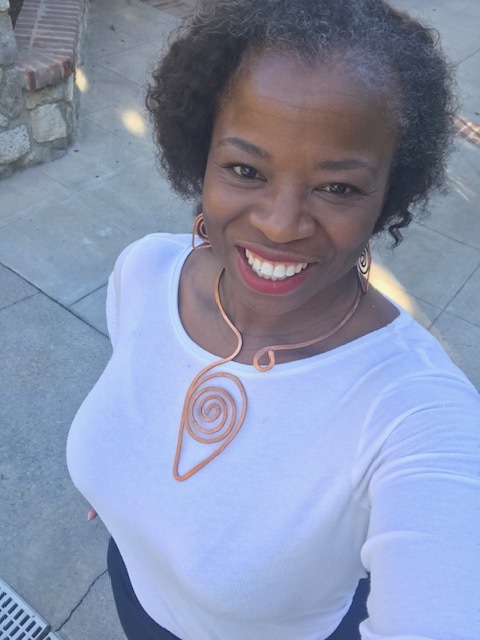 A globally mobile Afro-Latina and first-generation American who has lived on five continents and identified with seven cultures by the age of 19, Donnyale Ambrosine, or Doni as she is called, is passionate about creating community for cross-cultural populations. She has presented around the globe as a Keynote, at conferences, universities and in media as a lifestyle expert focused on entrepreneurship, marketing, branding and cross-cultural identity. With this background, she developed university curricula for global culture identity at Colorado State University, where she is on faculty. 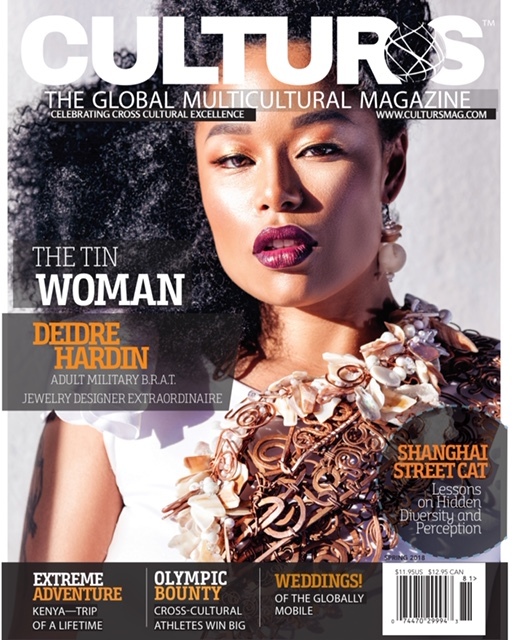 And Doni has also created a brand that includes Culturs, a global multicultural magazine that intends to celebrate the unique perspectives of cross-cultural people. 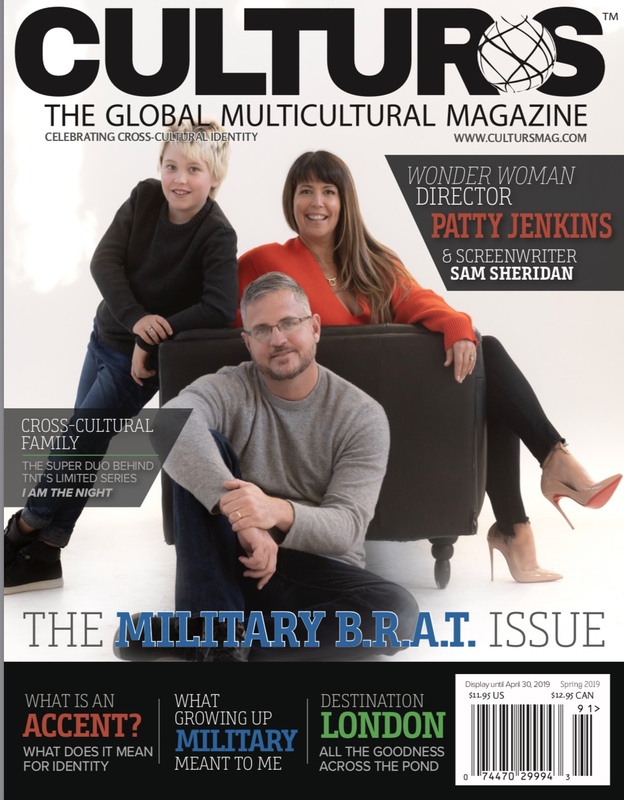 Global Nomads, Third Culture Kids, and racially-blended and culturally-blended people can read lifestyle articles and research from their point of view. One that shows a new-world order — a new normal that affects not only our lives, but the lives of those around us. I spoke with Doni recently and we talked about the digital-first, print publication brand that she is so passionate about. 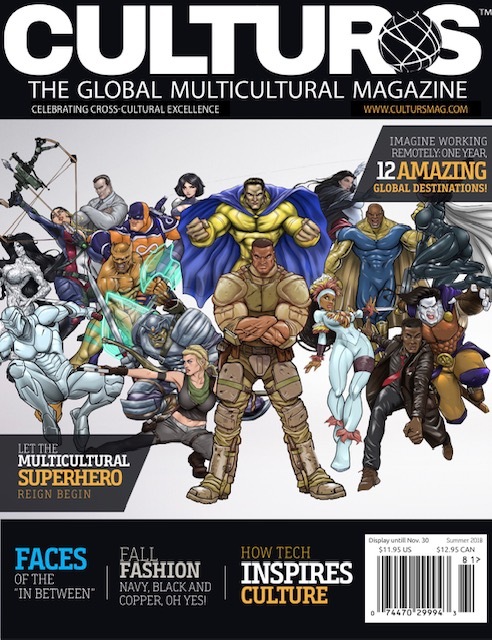 Doni uses her global, multi-cultural background, academic training, and career experience in media, management and business to position Culturs as the first-ever, digital-first print publication and product marketplace of its kind – one that addresses global and mobile cultural identities, with emphasis on hidden diversity. And it’s that hidden diversity that gave Doni the spelling of the name of her brand – hiding that last “e” as many diversities are hidden. 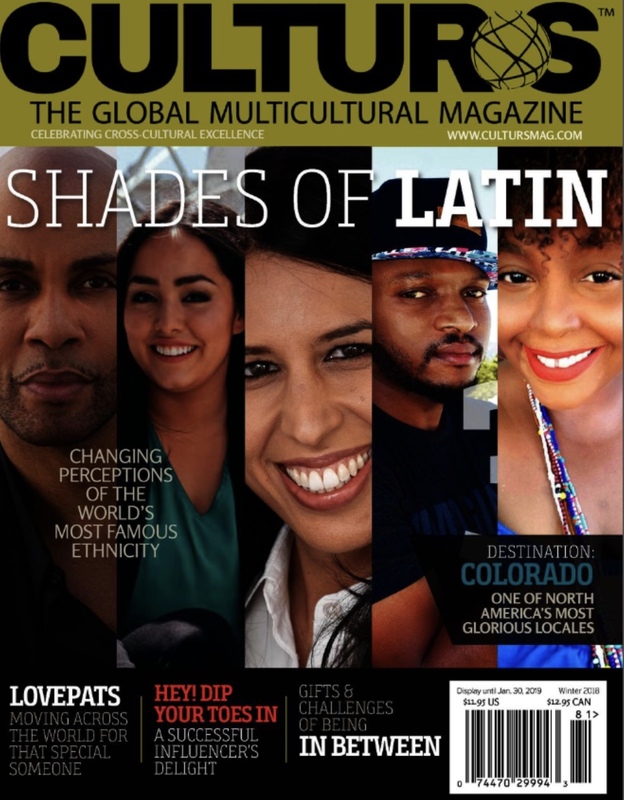 So, I hope that you enjoy this very delightful and informative interview about a woman and her brand – two very diverse and captivating individuals that will definitely get you thinking about true understanding of global distinctiveness – the Mr. Magazine™ interview with Donnyale (Doni) Ambrosine, Founder & Publisher, Culturs Magazine & Faculty Staff Member At Colorado State University. On why she decided to do Culturs: I grew up internationally and when most Americans hear that, they hear privileged. And there were parts of that which were very privileged and there were parts that weren’t. When you think of people in globally-mobile situations, often they could be refugees, immigrants, military brats, missionary kids; so there are very nuanced reasons for people to grow up in a global situation. In my case, it was four continents and an isthmus or five continents if you want to call Central America a continent. So, five continents and seven countries or seven cultures that I grew up with. And that formed who I am and how I see the world. There are 288 million-plus people who live outside of their passport countries today, and a number of them fit the category, actually all of them fit the categories that we talk about in Culturs. And then beyond that we have people who straddle race and ethnicity every day. It is one country, one culture. So, that’s why I created the magazine, because I wanted to have a community for those people who don’t really have others or feel like they have others who understand them and sometimes feel like the outsiders. On why she left a letter out of the logo and spells the brand’s name Culturs: Everything we do has a meaning. Our colors; our logo; the fonts we use. Culturs is spelled without the normal “e” toward the end. The “e” is hidden and that stands for the hidden diversity of our population. We are a population of people who straddle or are in between culture, race, ethnicity, nations and locations. On why she is doing a print magazine in this digital and global age: We were digital first, I feel in this era you have to be digital, there’s no question. You have to have an online presence. But to me, print takes it to the next level. Our stature has grown a thousand percent by going into print. People are mistaken in thought when it comes to print being dead. Teaching at university I see that. Print is growing more than ever. If you go to any newsstand you’ll see that there are more magazine titles now than ever before. On whether this journey has been a walk in a rose garden for her or there have been challenges along the way: I have to say that I planned a lot of it out, so it was easier than most people would imagine. But it’s a very large operation with a lot of people; it takes a lot of people. And once you get into the distribution of it; we’re in Whole Foods and Barnes & Noble, Sprouts, Books-A-Million, independent bookstores, and university bookstores. And that’s a lot. My intention actually was to next go into airport kiosks and airport bookstores, but I decided to slow down a little bit, because that’s been the most daunting part. On that that bright, shining moment when she knew she was making a difference: When I started the digital I felt like I was doing something. And I continued that for four years and we have thousands of articles, they’re all free. Even articles in the print edition are also on digital, so anyone can read those. Again, there’s a different experience when go to print. Just the photos were very visual in the print magazine. And it was just such a great experience to feel the paper, it’s such high quality paper with a soft touch to it. So, I felt like I made a difference when I went digital, and then I started to feel like I wasn’t. Going to print, I felt like I was making a difference. On her link with Colorado State University: I teach in the Department of Journalism. I actually teach a course called Media and Global Cultural Identity. I have to give props to the Department of Journalism and Media Communications because the head of that department was the first one to really get this. To really see the value of what we’re doing and understand the difference it can make in the world, and who was championing it from the beginning. And he’s offered to do a number of things, and so I developed the curriculum for that class. On anything she’d like to add: I’m excited to see large corporations understanding what a difference this makes. I told you about the show “I Am the Night” on TNT. I was impressed with them and Turner Network and Warner Brothers, I was a consultant on the show. And it’s about someone who is a friend of mine, she is culturally fluid. She’s a white woman and she grew up thinking she was black. There’s a lot to that story; a lot of layers there. They brought me in as a cultural consultant because of our connection and to make sure that they were hitting the cultural note right. And that’s what a lot of corporations are missing. On what she would have tattooed upon her brain that would be there forever and no one could ever forget about her: I’m going to say something that came to me recently. Building this, I get so focused on how important it is, that often I forget along the way to enjoy it. And not let the pressure get to me. So recently, I said that I want to bring the best of myself to everyone around me, because I don’t feel like I’m giving them my best at all times right now. I want to bring out the best in the people around me by giving them the best of me. On the biggest misconception she thinks people have about her: (Laughs) Let me find just one. I’ll encapsulate them all into I’m not what people expect. I still haven’t figured that out; I’ve figured it out to a level, but I’m not sure what people see when they see me. They expect me to be much more intense than I am. They expect me to be, I think, more hysterical than I am. (Laughs) Now, can I be that way? Of course, and maybe that’s what they see. They look at me, depending on the situation, how I’m dressed, or how I present; someone said once, how I show up, because I mentioned I’m an introvert and she said that I show up as an extravert. On what someone would find her doing if they showed up unexpectedly one evening at her home: You would probably find me lifting weights and then coming home and having a hot bath in the Jacuzzi tub. Then sitting by the fire and reading a magazine. On what keeps her up at night: Nothing really keeps me up at night. (Laughs) I’m that tired. I think what keeps me up at night; again, back to the wanting to do it so right. Doing it like it is so important and doing it like it can make a difference for so many. So, with limited resources, sometimes I feel like I made the wrong decision. And that’s only a recent thing, I never really had that happen to me before, because I would make a decision and then I would move on. 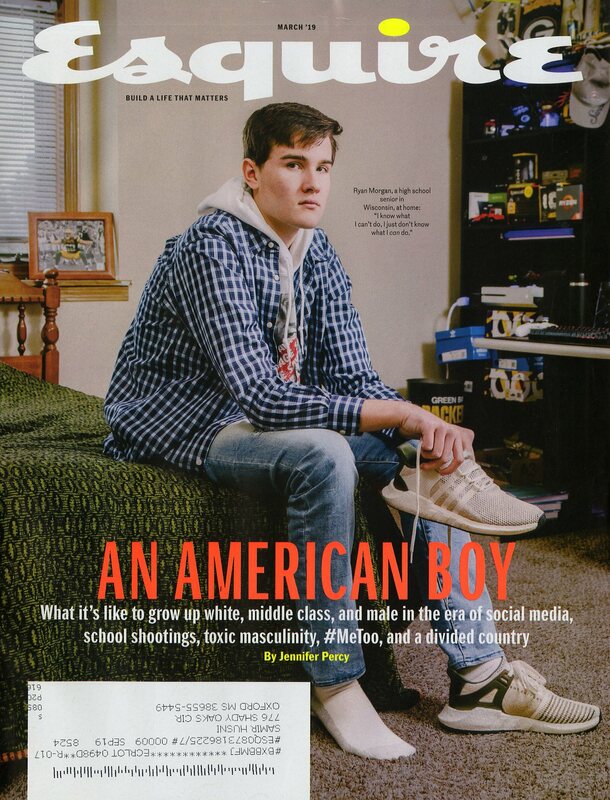 And now the lightly edited transcript of the Mr. Magazine™ interview with Donnyale (Doni) Ambrosine, Founder & Publisher, Culturs Magazine & Faculty Staff Member At Colorado State University. Samir Husni: Why did you decide to do Culturs? Donnyale (Doni) Ambrosine: I grew up internationally and when most Americans hear that, they hear privileged. And there were parts of that which were very privileged and there were parts that weren’t. When you think of people in globally-mobile situations, often they could be refugees, immigrants, military brats, missionary kids; so there are very nuanced reasons for people to grow up in a global situation. In my case, it was four continents and an isthmus or five continents if you want to call Central America a continent. So, five continents and seven countries or seven cultures that I grew up with. And that formed who I am and how I see the world. My mother is Trinidadian and my father is Costa Rican; I’m very proud of that. And proud that they gave me such a wealth of experience and background by the day I was born, just by being who I was and having them as my parents. So, growing up in all of these places: Turkey, London, Spain; I went to the University of Germany and of course many places in the U.S., it really affected how I see the world. There are 288 million-plus people who live outside of their passport countries today, and a number of them fit the category, actually all of them fit the categories that we talk about in Culturs. And then beyond that we have people who straddle race and ethnicity every day. It is one country, one culture. So, that’s why I created the magazine, because I wanted to have a community for those people who don’t really have others or feel like they have others who understand them and sometimes feel like the outsiders. Who feel like they need a place, especially if they have a number of the dimensions that I’ve mentioned. If you’re globally-mobile or even if you’re domestically-mobile as well as race, culture or ethnicity, every one of those layers adds more complexity to your personality, to your identity. And when you mix those moves as you’re forming your identity as a child, then that makes a difference in who you are. You can understand all of the people with whom you share those dimensions, but not everyone of those people can understand you because you contain all of those dimensions at once. So, that’s why I formed Culturs. Everyday has been a gift and every time I think that this is such a long and daunting road, why did I choose it, that doesn’t last 10 minutes, because I get calls and emails from people, crying and telling me what a difference we’ve made in their lives and how they finally feel that somebody gets them. How they feel like they have community. Someone texted me recently and said it was the first time in their life that they felt seen. I’ve heard from so many people who just don’t talk about it, because no one cares. And when they talk to me, they’re shocked that not only does someone care, a lot of people care. And there are a lot of people who share the same experience. Samir Husni: What’s the reason behind the logo? You’ve left a letter out of the logo and spell it Culturs; can you tell us why? Donnyale (Doni) Ambrosine: (Laughs) Yes, sure. Everything we do has a meaning. Our colors; our logo; the fonts we use. Culturs is spelled without the normal “e” toward the end. The “e” is hidden and that stands for the hidden diversity of our population. We are a population of people who straddle or are in between culture, race, ethnicity, nations and locations. So, those combinations , those dimensions provide a hidden diversity where what you see isn’t always what you get, so people look at you and when they look at me they think I’m African American. They listen to me speak and they think I’m African American. But I’m a little bit different; there is something wrong with me. (Laughs) I’m not quite what they pictured, because I’m not African American. I’m an Afro-Latina and Caribbean American. And that makes a difference, knowing my background and my culture. It’s still going to be confusing, because I have so many of those dimensions. What you expect to happen with me, to come from me, is really unexpected. You can’t have any expectations because I didn’t grow up in one place, so that’s the hidden diversity of it. So, the missing “e” stands for that hidden diversity. Samir Husni: Here you are creating a global magazine about global people, and yet you chose print as your vehicle. Why are you doing a print magazine in this digital age and in this global age? Donnyale (Doni) Ambrosine: (Laughs) We were actually digital first. We’ve been online for five years, print just happened last year. And with the print we started…we had the online magazine first, the digital magazine, which includes a mobile magazine for the iPad and handheld devices. So, we were digital first, I feel in this era you have to be digital, there’s no question. You have to have an online presence. But to me, print takes it to the next level. Our stature has grown a thousand percent by going into print. People are mistaken in thought when it comes to print being dead. Teaching at university I see that. Print is growing more than ever. If you go to any newsstand you’ll see that there are more magazine titles now than ever before. What you’ll notice is the ones that are thick, the ones that are large, the ones that are growing are the ones that have a niche population that they pay attention to. The ones that are shrinking are general magazines that try to hit everyone. So, there is a place for print. And the experience for print is completely different. Now, first of all, digital is great; I love my tech and I love my digital, but I need some downtime. When I want downtime, I might play some games, but I’m not going to grab my phone and curl up with it. I might go get some tea and a magazine, something in print that I can put my hands on and that feels good, that creates an experience for me and that calms me down. And I think most people are like that. We have so much information coming at us, I can’t remember exactly, but I think the data is that in one day now we have as much information as someone in the 15th century did in their entire lives, or some astronomical sum like that. But we have so many things to distract us, and so much information coming at us and so many things to remember, it really is important for us to take that time, pick up something tactile, something that makes you feel good. And something that makes you slow your brain down a little bit and come back to who you are. And I think print does that. Samir Husni: Since you started this project five years ago and this being your first anniversary for the print edition, has it been a walk in a rose garden for you or have you had some challenges along the way? And if so, how did you overcome them? Donnyale (Doni) Ambrosine: It is our first anniversary for the print edition. Thank you for recognizing that. I have to say that I planned a lot of it out, so it was easier than most people would imagine. But it’s a very large operation with a lot of people; it takes a lot of people. And once you get into the distribution of it; we’re in Whole Foods and Barnes & Noble, Sprouts, Books-A-Million, independent bookstores, and university bookstores. And that’s a lot. My intention actually was to next go into airport kiosks and airport bookstores, but I decided to slow down a little bit, because that’s been the most daunting part. The industry itself is changing daily. People are consolidating, companies are being bought out, censors and distributors, and there are different levels of that, from local to regional to national and international. So, every time there is a change, it changes almost everything with the industry, especially if you’re international. That’s been the toughest part. But my passion takes me through. We’re a philanthropic organization; I’m not doing this to line my pockets. I’m doing this to make a difference; I’m doing this for the people who need community or who may be finding themselves or who is just now maybe seeing that there is something different about themselves and they’ve figured it out. When I interviewed the director of Wonder Woman and her family about this new show on TNT – “I Am The Night” that came out recently, we talked about her upbringing as a military brat. And it turned out that her husband is a cross-cultural kid, in terms of his upbringing as well. And then the two of them together have a son who is growing up in London and in Los Angeles because of Wonder Woman, which was filmed in London. So, they’re a family of cross-cultural people. And it turned out her mother is a military brat as well, so that’s three generations of cross-culture. And you would expect that, because when you look at them they look like they’re a regular American family and they’re not people of color. But what makes the difference is how they see the world because of how they were brought up. And that’s what we talk about in this next issue. Samir Husni: When was that bright, shining moment when you knew you were making a difference? Was it when that first issue came out or when you started the digital magazine? Donnyale (Doni) Ambrosine: When I started the digital I felt like I was doing something. And I continued that for four years and we have thousands of articles, they’re all free. Even articles in the print edition are also on digital, so anyone can read those. Again, there’s a different experience when go to print. Just the photos were very visual in the print magazine. And it was just such a great experience to feel the paper, it’s such high quality paper with a soft touch to it. So, I felt like I made a difference when I went digital, and then I started to feel like I wasn’t. Going to print, I felt like I was making a difference. And then in between there’s so much work that happens and people remind me that we’ve done so many things. We just came back from the Sundance Film Festival and being able to cover films about refugees and immigrants and the sectionalism of different people. There was a movie called “Hala” about a Pakistani girl who is merging her Pakistani parents’ wishes and culture with her American self. There was another one called “Luce” that has Octavia Spencer in it and it’s about an African child who is adopted and used to be a boy soldier, and he’s adopted by a white couple from America and as he’s coming of age he’s getting these incendiary thoughts that are shocking everyone around him because he’s an A student and he’s an athlete. He’s looked up to by everyone and his teacher is the only one who saw something brewing inside of him. So, these are the things that happen to us as we’re forming our identity. We’re growing and they come out, so I’m happy to champion all of these stories that other people are bringing to life. And every time that that happens, I realize I’m making a difference. And it’s important. People bring me back to that, because I’m so busy doing the work that sometimes I forget that we’re actually doing something great. Samir Husni: What’s the link with the university? I know you’re the director of marketing at Colorado State University at the student center. Donnyale (Doni) Ambrosine: Yes, and I teach in the Department of Journalism. I actually teach a course called Media and Global Cultural Identity. I have to give props to the Department of Journalism and Media Communications because the head of that department was the first one to really get this. To really see the value of what we’re doing and understand the difference it can make in the world, and who was championing it from the beginning. And he’s offered to do a number of things, and so I developed the curriculum for that class. And it’s made a difference actually in quite a few students’ lives. It’s been interesting too. It’s been an interesting teaching assignment for me because there are some students who have a hard time grasping the information, because if you grew up in a home without this situation; you’ve never really moved anywhere; you haven’t been around people who are too much different than you, it’s difficult to think outside of that box. And it’s really interesting to watch people want to do it, they like it and they like the information and they really want to get it, but they have a hard time grasping it. So many come to my class and they learn so much about themselves. Every issue has a major global destination that we feature. And this last one we had London, and one of my former students is a master’s student in London and she wrote the intro about what that city means to her and what it feels like. She’s from Shanghai. Students like her, I have a number of them, and they find out about themselves, question their answers for them. 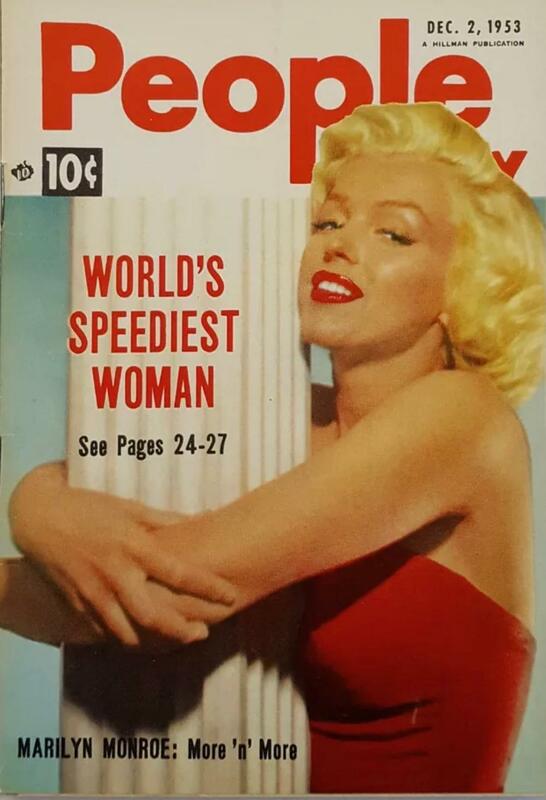 Again, that’s another milestone for me, because that is the purpose of the magazine. Samir Husni: Is the magazine separate from the university or is it part of the university? Donnyale (Doni) Ambrosine: It is separate from the university. The university is just a great partner. The Department of Journalism and Media Communications is our major partner. The President’s Office, Enrollment and Access, and Adult Learner and Veteran Services and External Relations, they also have been great supporters. Donnyale (Doni) Ambrosine: I’m excited to see large corporations understanding what a difference this makes. I told you about the show “I Am the Night” on TNT. I was impressed with them and Turner Network and Warner Brothers, I was a consultant on the show. And it’s about someone who is a friend of mine, Fauna Hodel, she is culturally fluid. She’s a white woman and she grew up thinking she was black. There’s a lot to that story; a lot of layers there. They brought me in as a cultural consultant because of our connection and to make sure that they were hitting the cultural note right. And that’s what a lot of corporations are missing. A lot of places, and the universities are one; they’re starting to get it. It’s not just about visual diversity, what we see, even though that’s important. It’s also other diversities that a number of people have that needs to be seen in people. So, I am very excited about that. Recently, Amazon reached out for me to work with them. We’ve been working with the World Bank and the United Nations, and Coca-Cola. So, I’m really excited to see this making a difference, to see that people are getting onboard. Donnyale (Doni) Ambrosine: That’s a good question. I’m going to say something that came to me recently. Building this, I get so focused on how important it is, that often I forget along the way to enjoy it. And not let the pressure get to me. So recently, I said that I want to bring the best of myself to everyone around me, because I don’t feel like I’m giving them my best at all times right now. I want to bring out the best in the people around me by giving them the best of me. Donnyale (Doni) Ambrosine: (Laughs) Let me find just one. I’ll encapsulate them all into I’m not what people expect. I still haven’t figured that out; I’ve figured it out to a level, but I’m not sure what people see when they see me. They expect me to be much more intense than I am. They expect me to be, I think, more hysterical than I am. (Laughs) Now, can I be that way? Of course, and maybe that’s what they see. They look at me, depending on the situation, how I’m dressed, or how I present; someone said once, how I show up, because I mentioned I’m an introvert and she said that I show up as an extravert. I think the biggest misconception is people think they get where I’m going with something or what I want to do, or who I am. And I think 95 percent of the time, people are wrong. And I said that to my classes. I told them not to try and anticipate what they think that I want. Give me what you want, because if you try and guess what I want to hear from you, I guarantee you that you’ll be wrong. Donnyale (Doni) Ambrosine: You would probably find me lifting weights and then coming home and having a hot bath in the Jacuzzi tub. Then sitting by the fire and reading a magazine. Donnyale (Doni) Ambrosine: Nothing really keeps me up at night. (Laughs) I’m that tired. I think what keeps me up at night; again, back to the wanting to do it so right. Doing it like it is so important and doing it like it can make a difference for so many. So, with limited resources, sometimes I feel like I made the wrong decision. And that’s only a recent thing, I never really had that happen to me before, because I would make a decision and then I would move on. But recently I made a huge decision where we were placed in a slot in the Barnes & Noble stores and I had to do some big things to get that. And it came at a great personal sacrifice. Then I thought I made the wrong decision, because it didn’t work out as I expected. One night I was up all night, kind of kicking myself and asking myself what I was thinking. And whether I had thought it through. But I got over it. And I kept asking myself what was wrong, because I never do that. But again, it’s just that I believe it is so important. I really feel like this is the direction that the globe is going and that people need to pay attention. So, I want to do everything that I can to get there so that I’m ready for the ones who need us. You are currently browsing the Mr. Magazine blog archives for February, 2019.